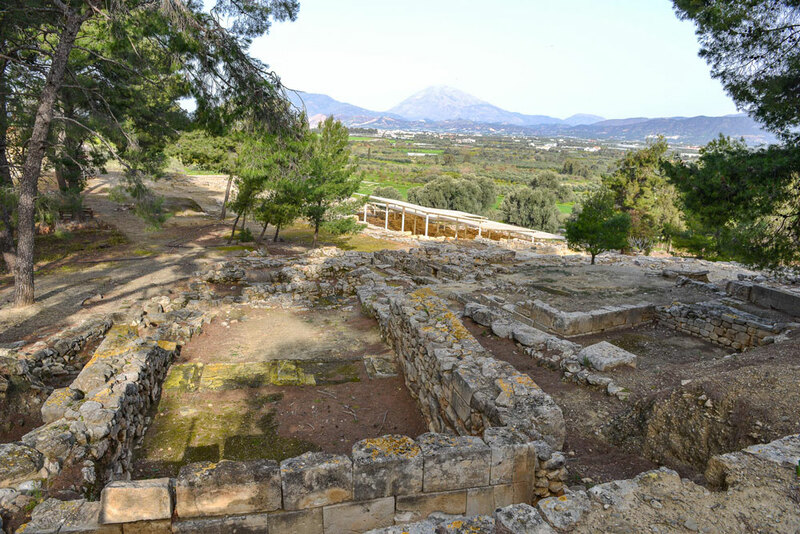 Eleftherna was one of the most important ancient cities of Crete and it is believed to have been established during the Minoan era. 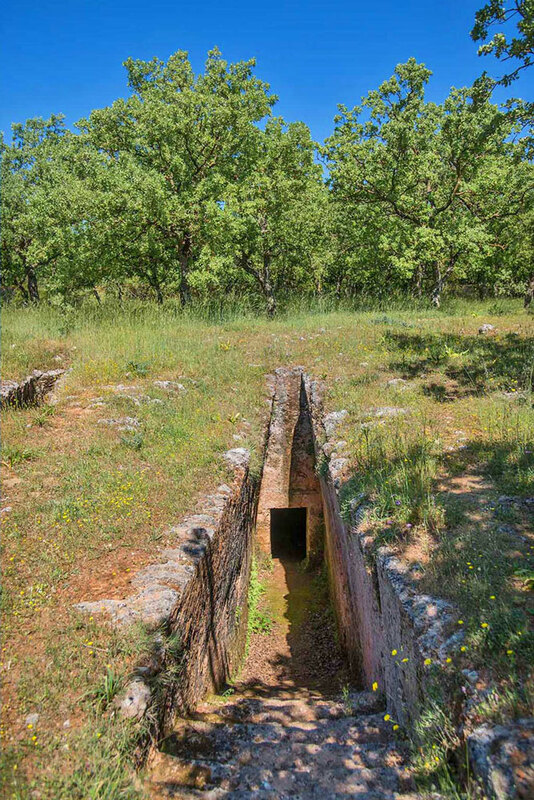 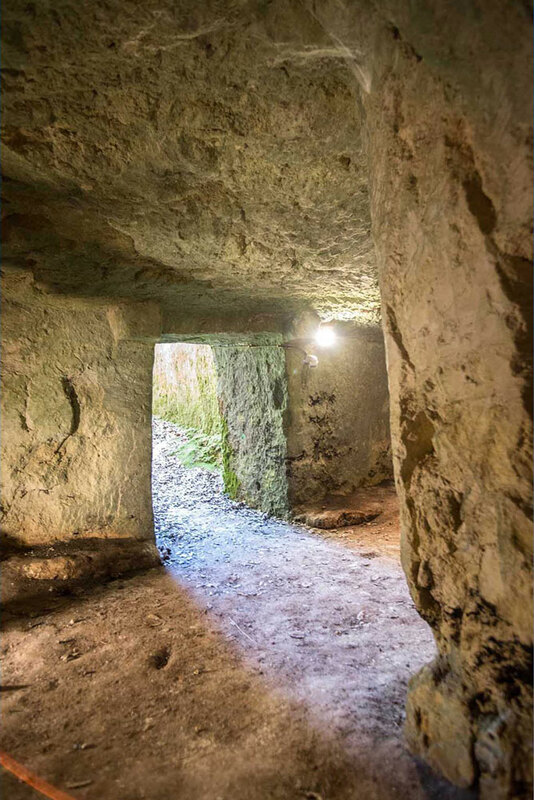 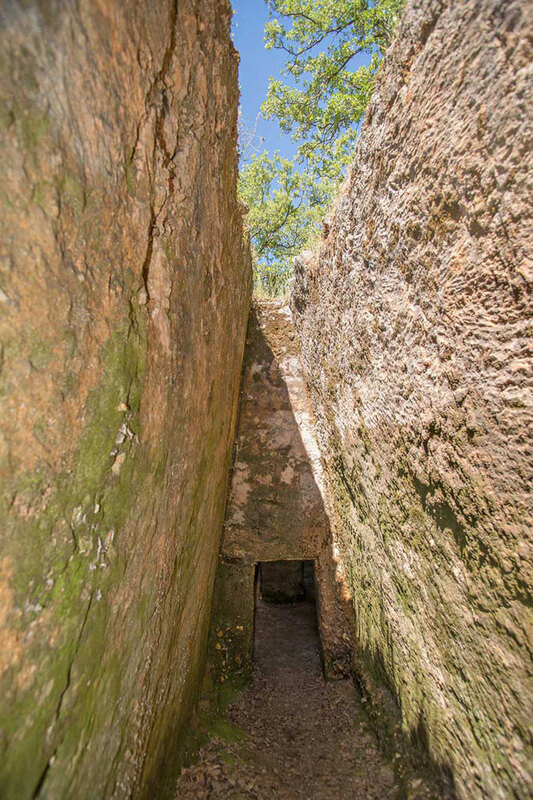 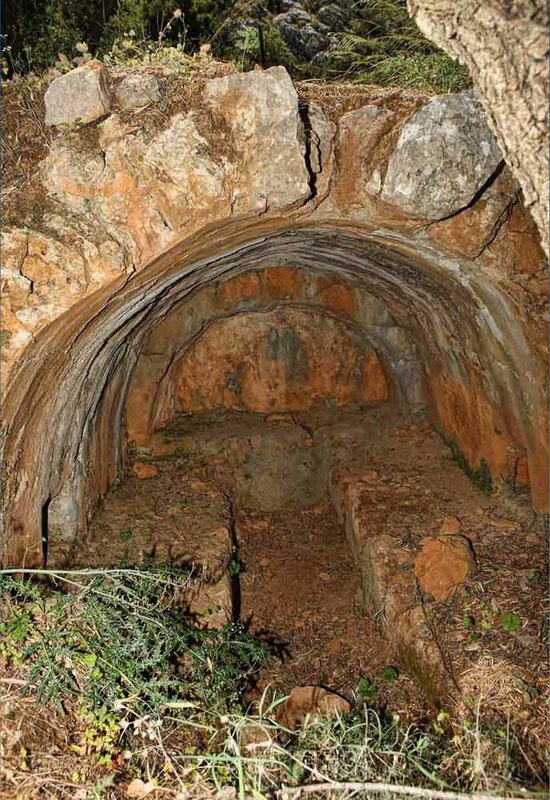 The excavations that started in 1985 have brought to light a great deal of findings from different periods, among them a complete Necropolis dating back to the Geometric and Ancient periods. 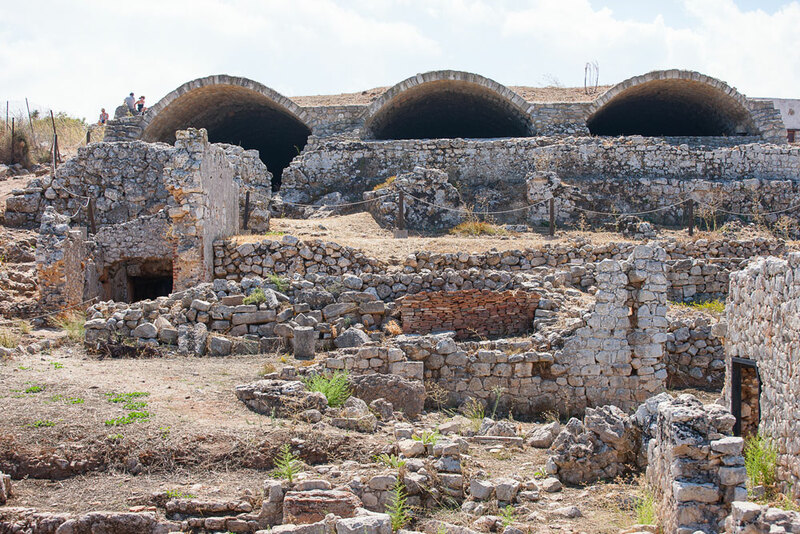 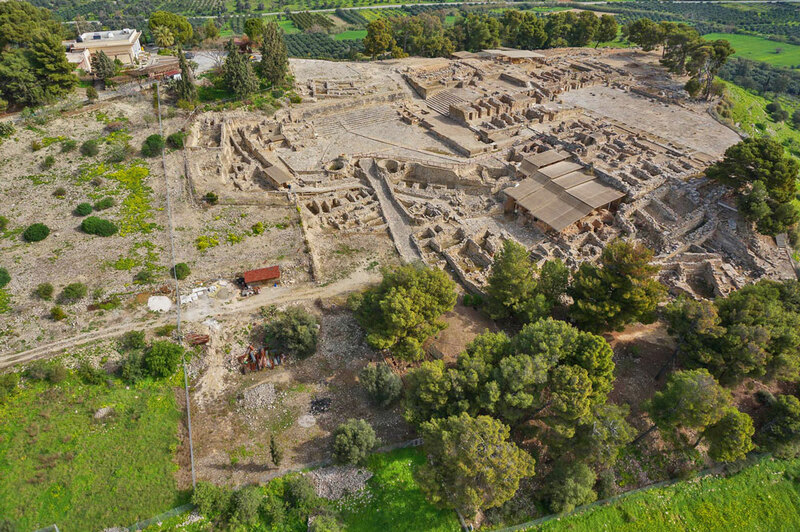 In 2009 the importance of the findings were recognized by the Archaeological Institute of America that listed the site in their Top 10 for excavation sites. 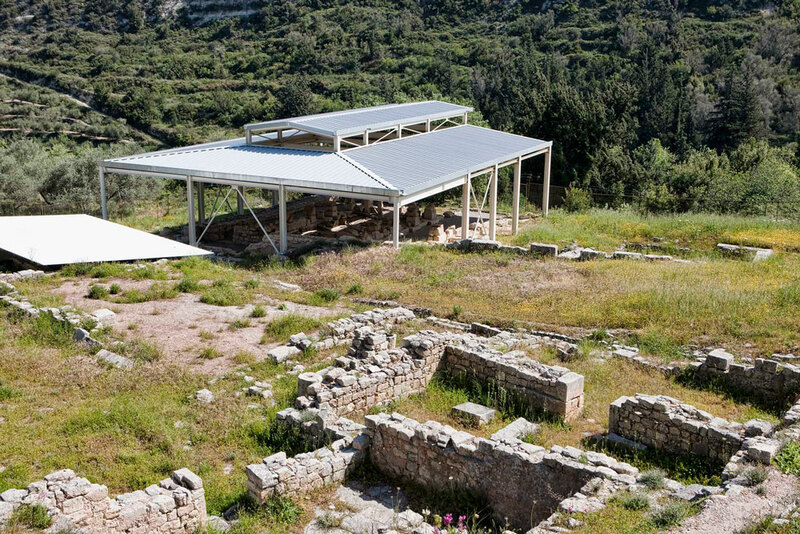 A local museum is under construction and is expected to open its doors to the public in 2015. 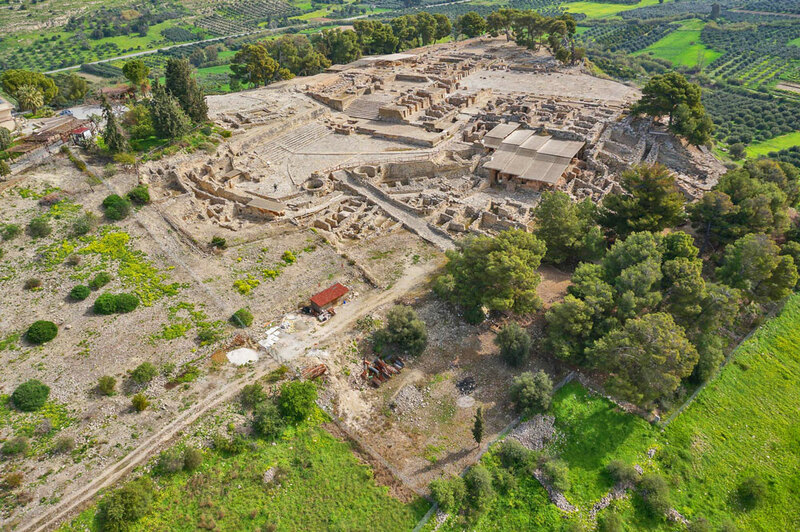 Phaistos is located in the south of Crete, 62km from Heraklion and close to Matala and it used to be not only one of the most important centers of Minoan Civilization but also the most wealthy and powerful city southern Crete during that period. 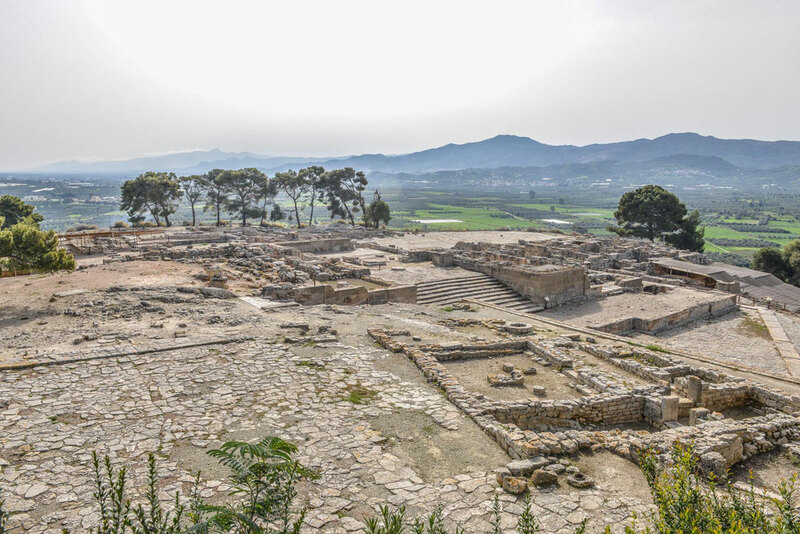 The city was built on a hill with the Palace over-watching the plains of Messara. 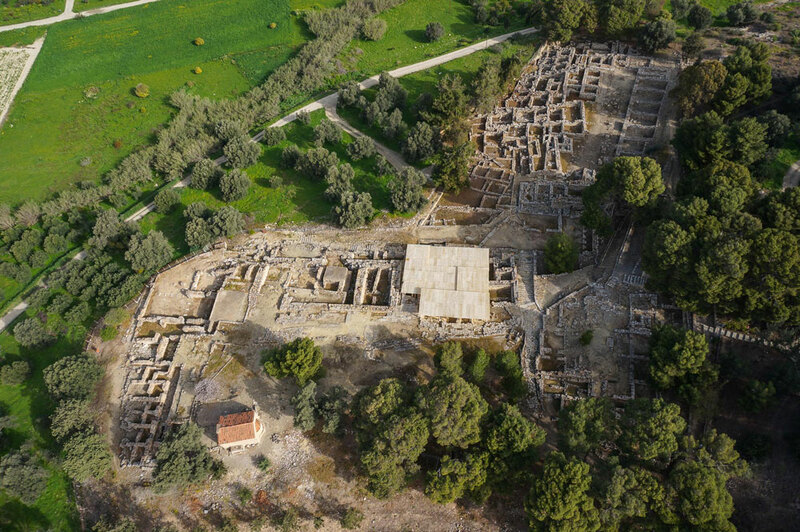 The Phaistos Palace was the second largest Minoan Palace after Knossos and it was the palace of Radamanthis, brother of King Minos. 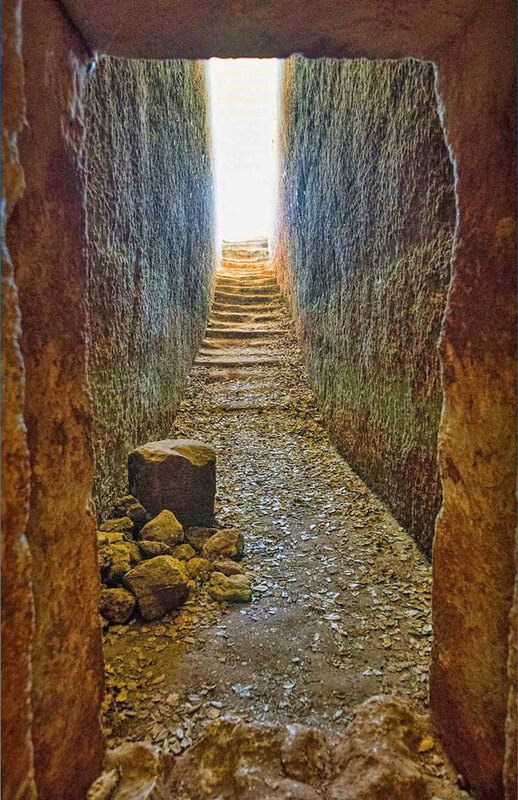 It was first built in 2000BC but was destroyed and rebuilt in 1700BC. 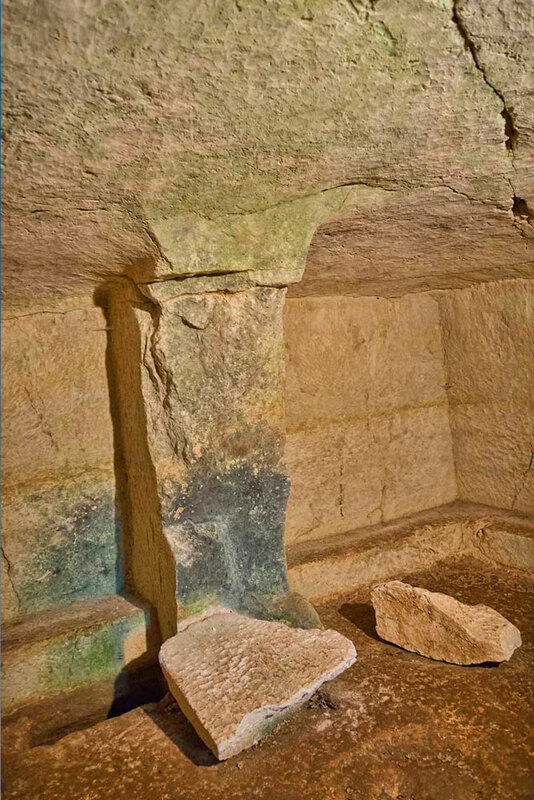 The visitor of the site today can witness the high sophistication of the building techniques and architecture that aimed both to functionality and aesthetics. 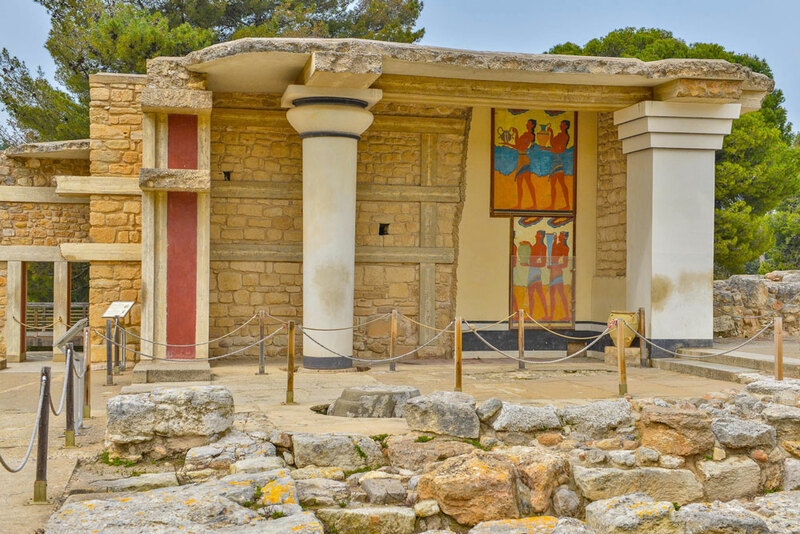 The Minoan Palace of Knossos is located 5km southeast of Heraklion in an area inhabited continuously since the Neolithic Age, 9000 years ago. 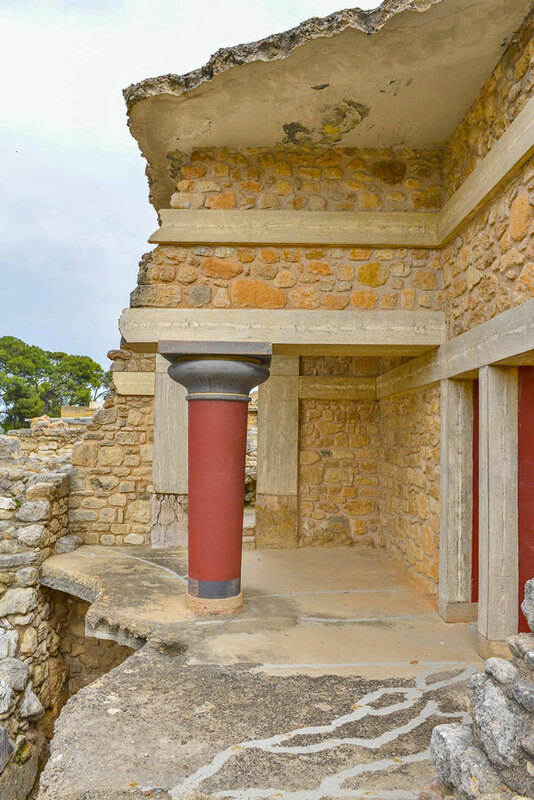 During the Bronze Age, Knossos became the capital of the Minoan Civilization and the base of King Minos himself. 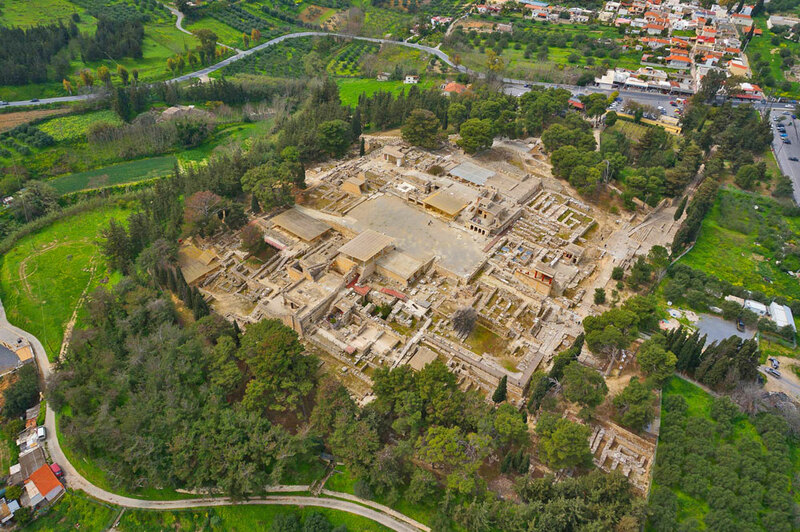 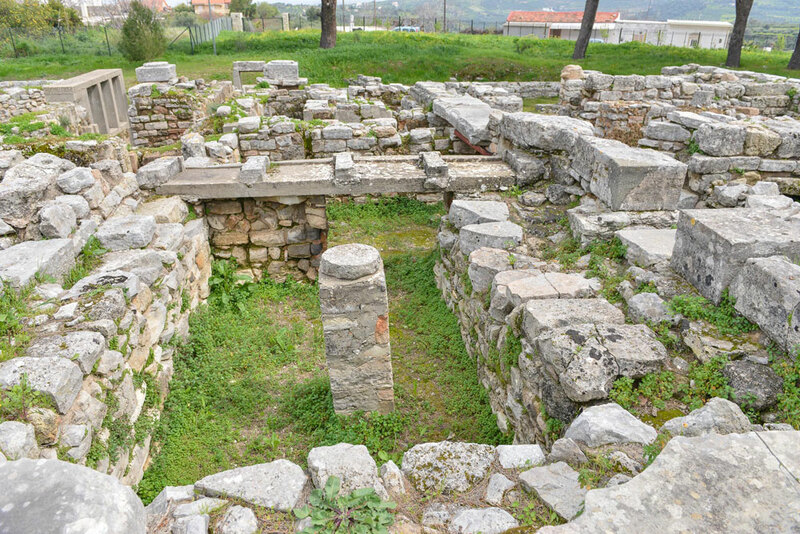 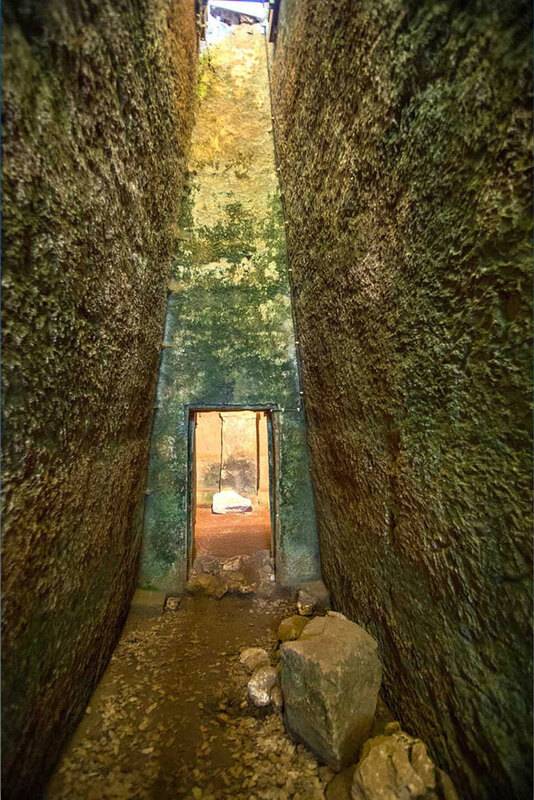 According to mythology, Minos kept the famous architect Dedalos prisoner until he would finish the highly elaborate and complex cluster of multi-storied buildings that compose the palace. 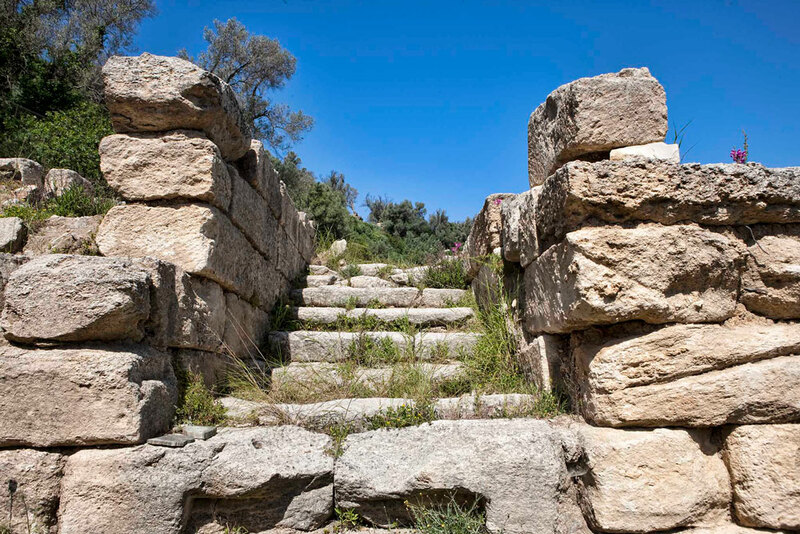 Dedalos built a set of wings him and his son to escape but Ikarus flied too close to the sun and fell to his death. 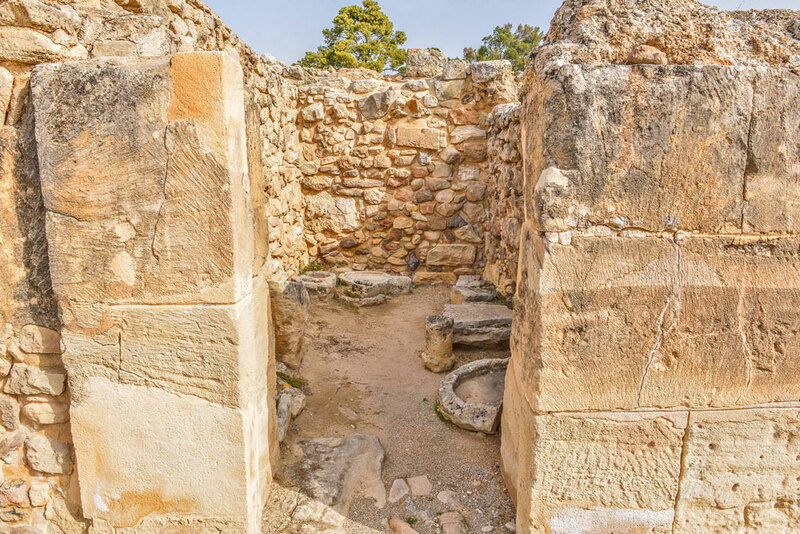 The mythical creature Minotaur was also supposed to live in Knossos, inside a complex maze designed by dedalos, the famous Labyrinth. 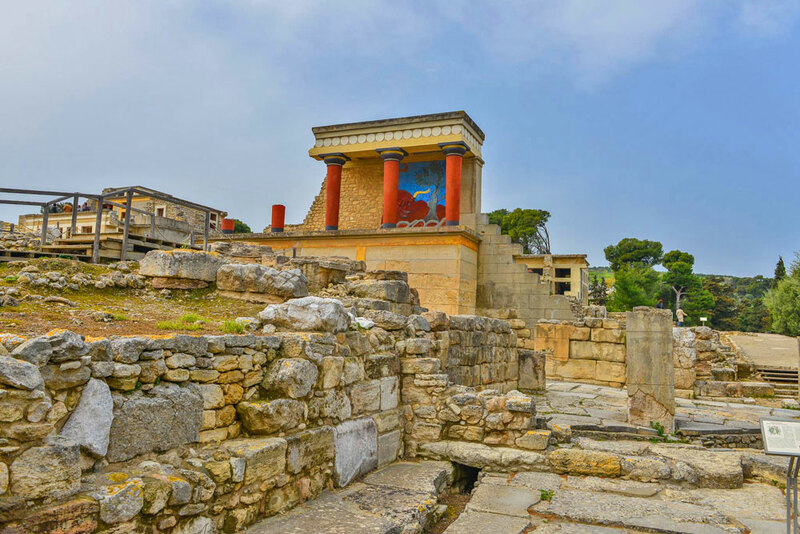 Knossos Palace is the absolute symbol of the Minoans and a visit to the site will give you the chance to see a rich strata of ruins, wall paintings and frescos that offer a vivid image of the grandeur and cultural richness of the Minoan Civilization. 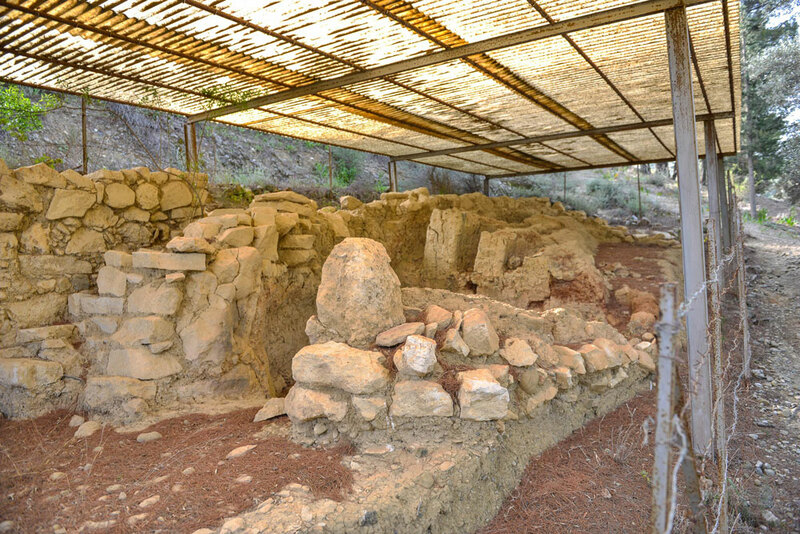 The Armeni Late Minoan cemetery lay undisturbed for thousands of years before excavations started in 1969. 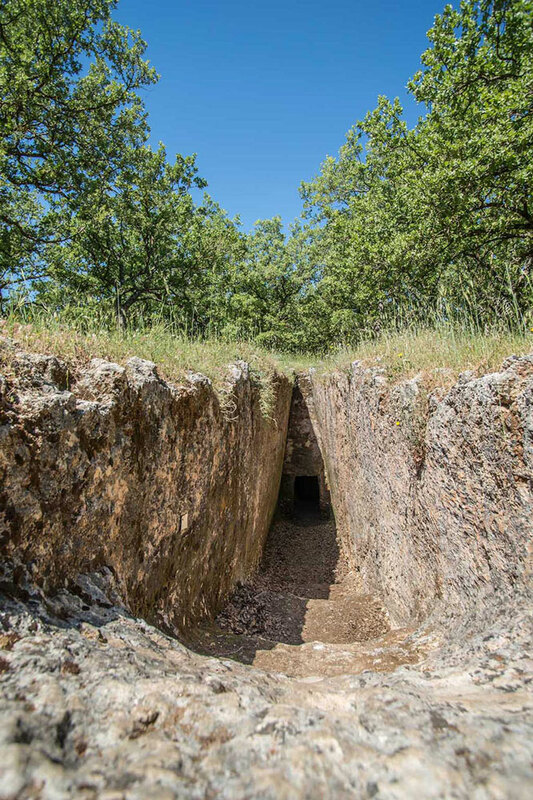 Since then, archaeologist brought to light, human skeletons and burial artefacts like pottery, weapons and jewels, that give us extremely valuable in formation about this particular era and the people that lived in it. 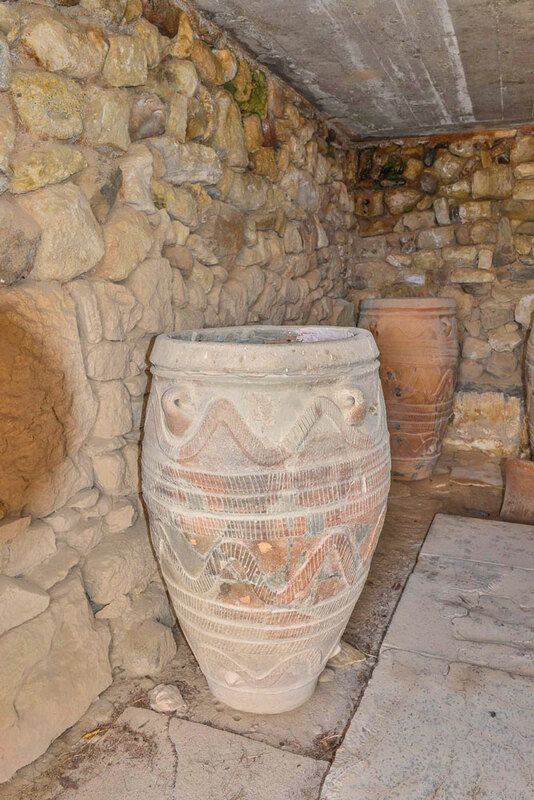 A great deal of the findings is exhibited at the Archaeological Museum of Rethymno. 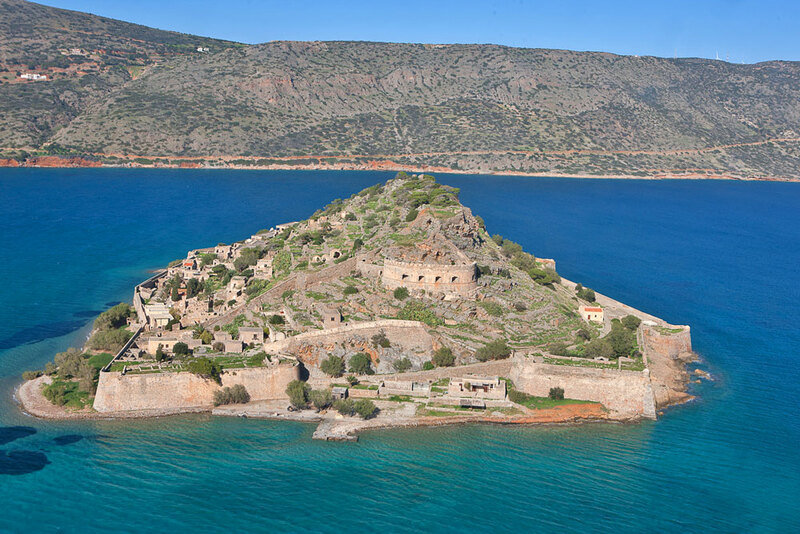 Spinalonga is a beautiful small island that you can visit by boat from Elounda, Plaka or Agios Nikolaos. 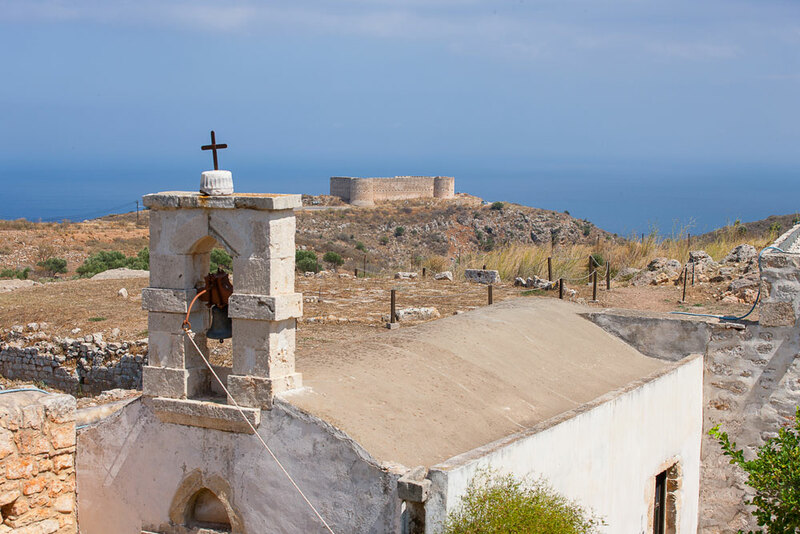 The island is famous as the “Island of Lepers” and it is a place where many people have suffered and died. 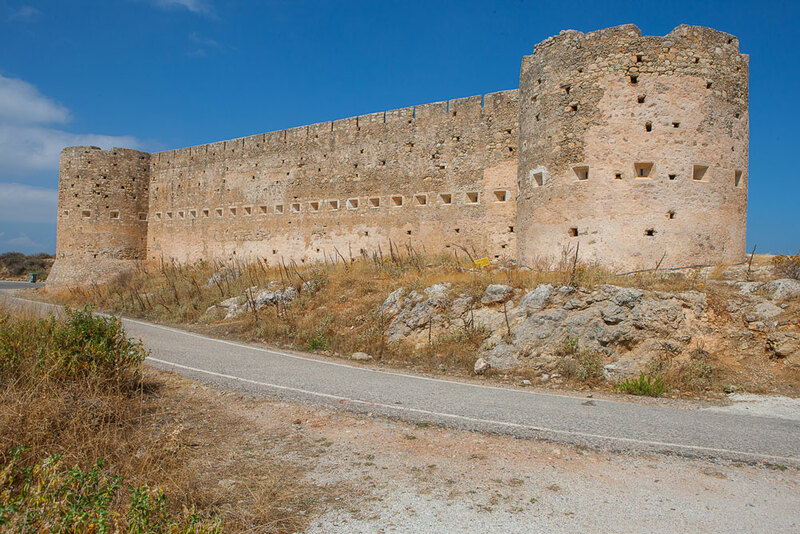 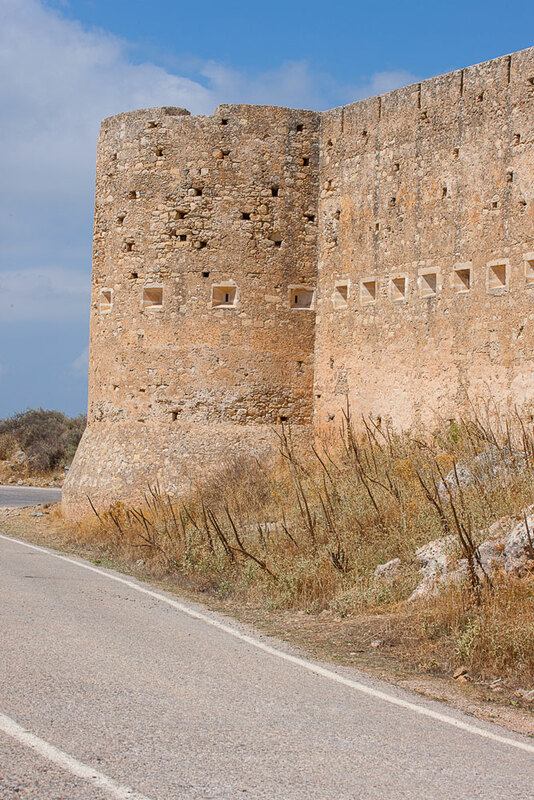 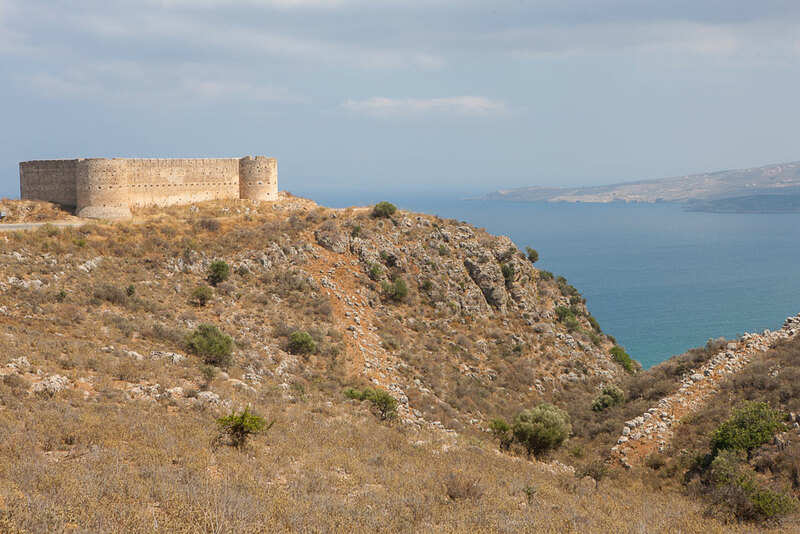 It was heavily fortified by the Venetians to protect the important port of Elounda and part of this fortifications still stands today. 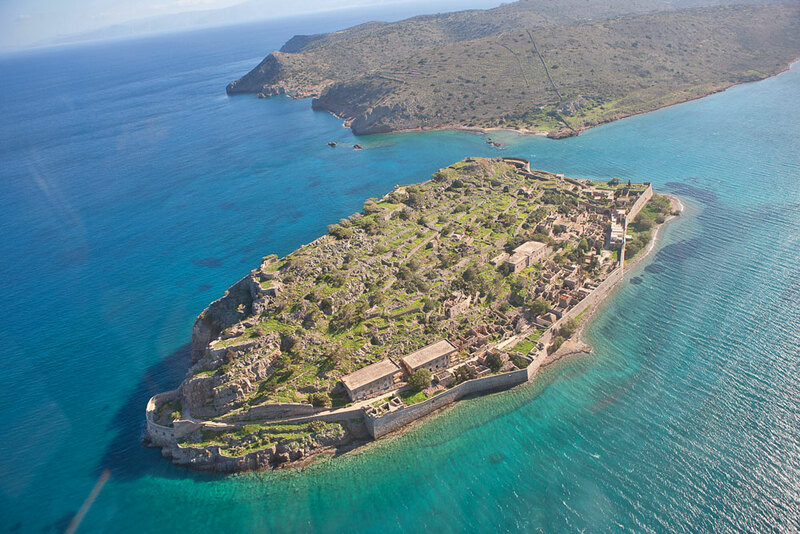 It was first used to host the lepers of Crete in 1905 but in 1913 it became a leper colony for patients from all over Greece. 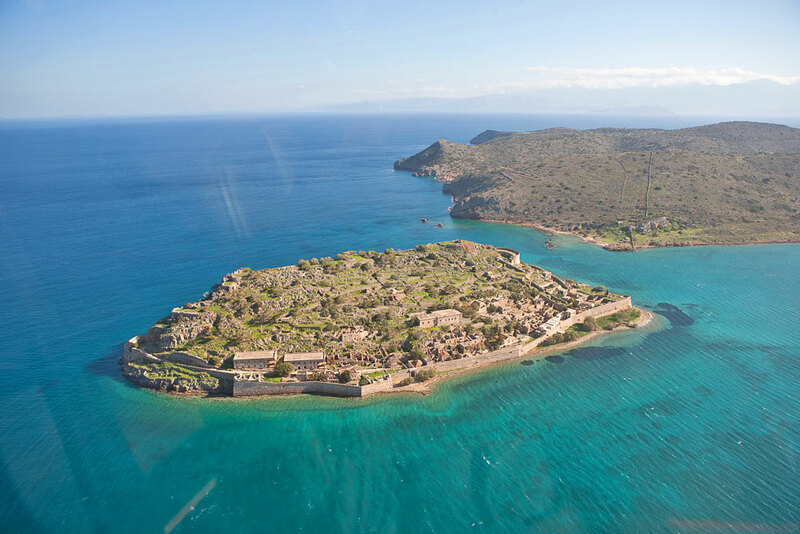 It remained a leper colony until 1957 when the last patients were treated with antibiotics. 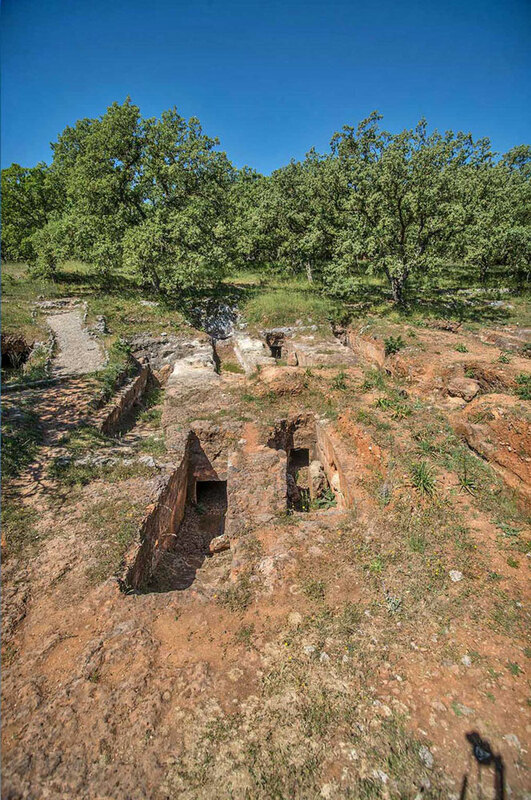 Today it is considered a place of martyrdom and historic memory. 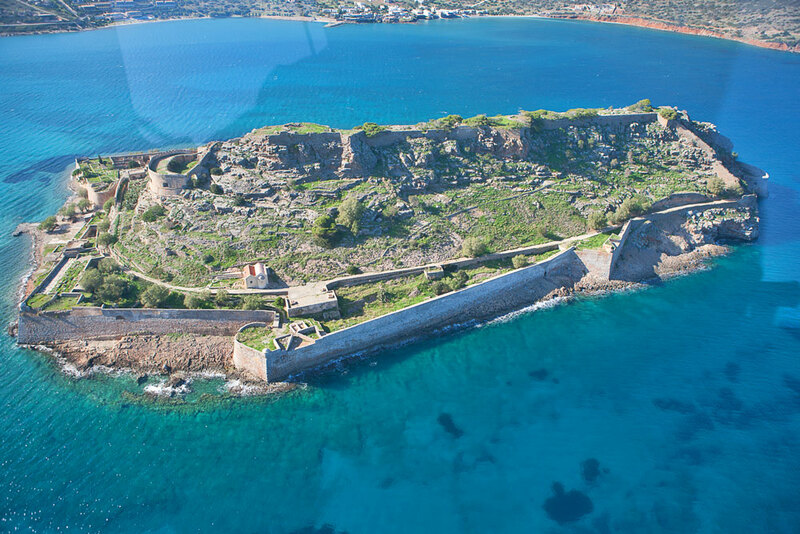 According to some it is the second most visited historical site in Crete after Knossos. 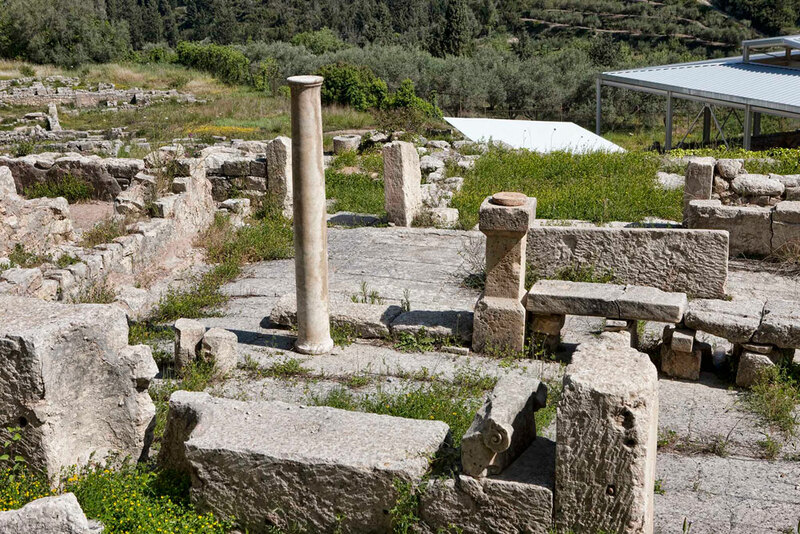 Strong evidence indicate that the naturally fortified city of Axos has been there since the Geometric period. 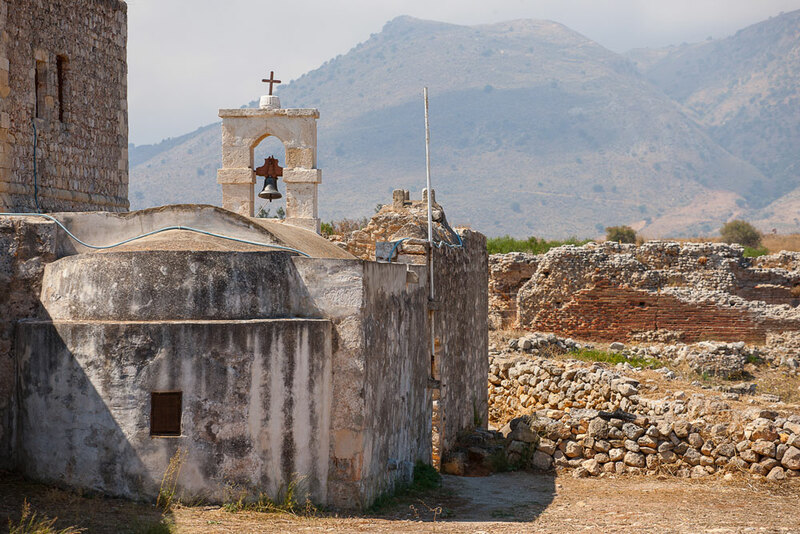 In 535 AD it became the base of a bishop and that is probably the reason for the great number of churches in the surrounding area; at some point there were 46 of them. 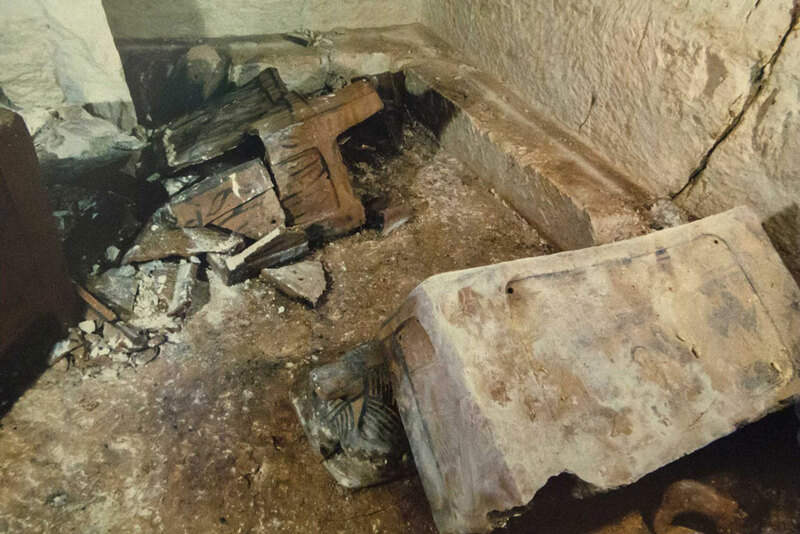 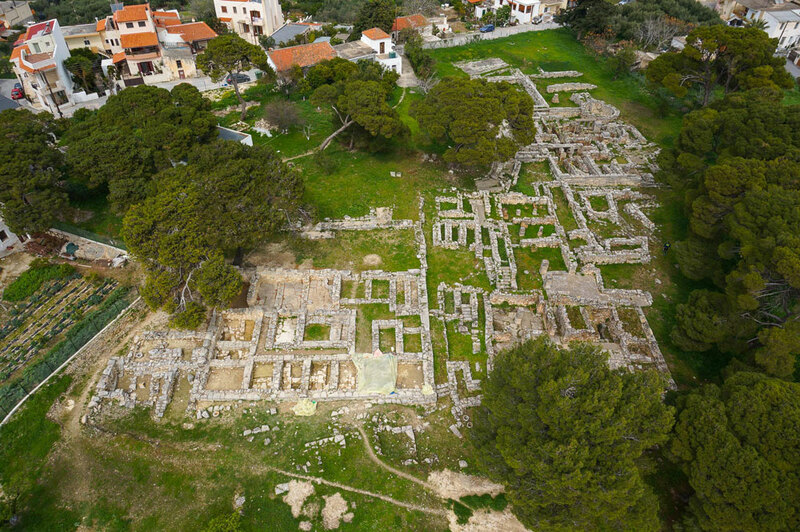 Arachaeological excavations revealed many parts of the city, including a temple of Aphrodites and many items such as coins, figurines and stone vessels have been recovered. 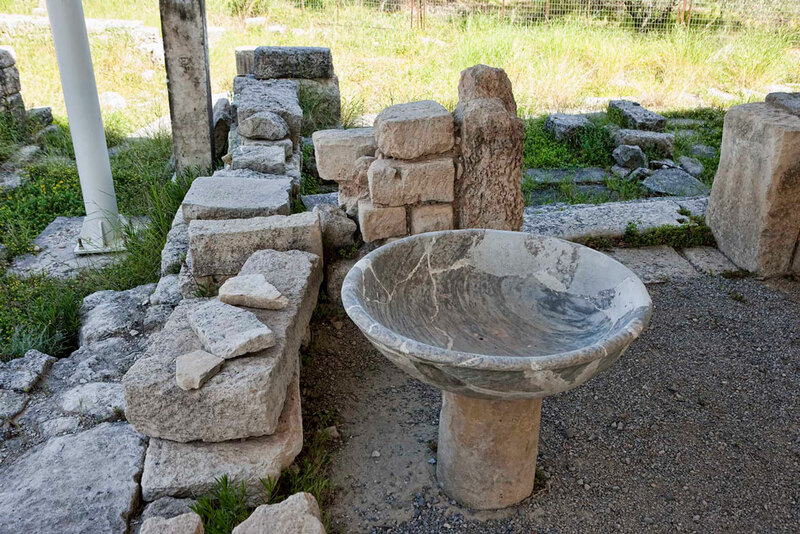 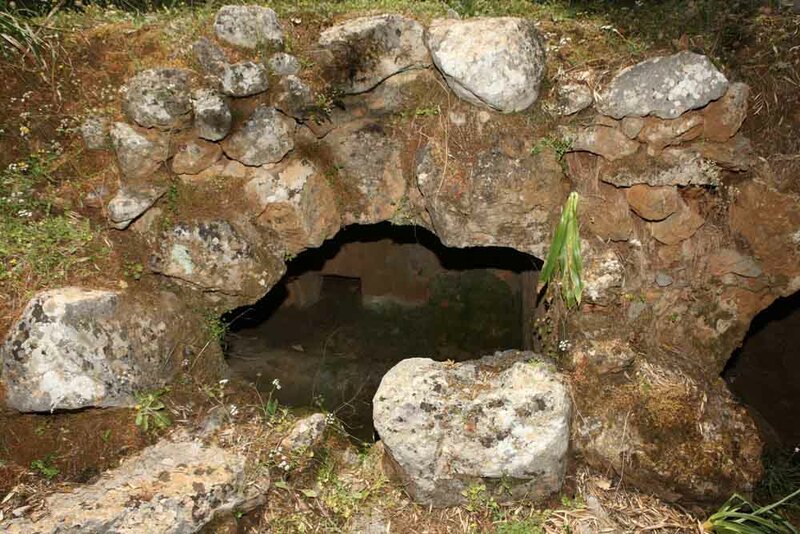 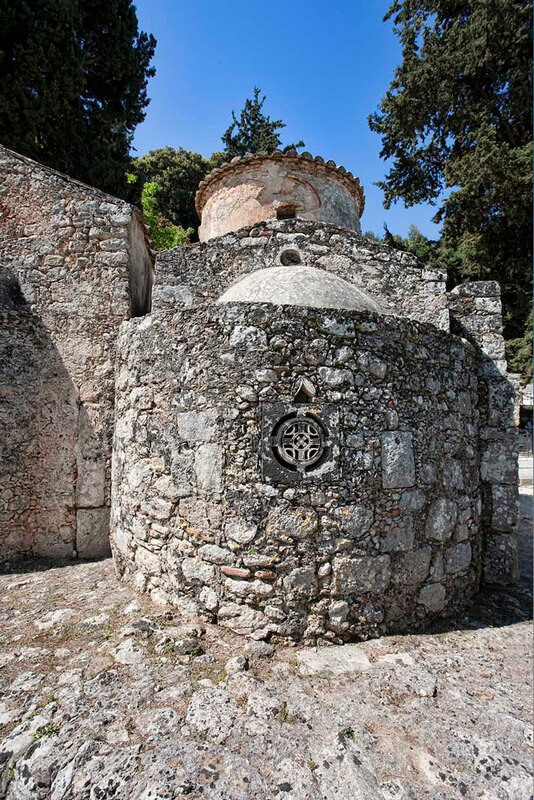 Today the visitor can see the Acropolis’ walls still standing on the hill and drink water from the famous fountain at the center of the village. 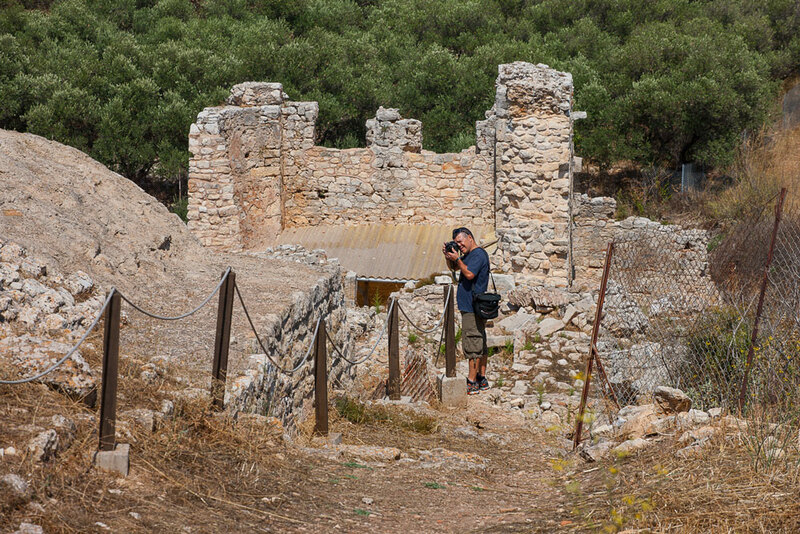 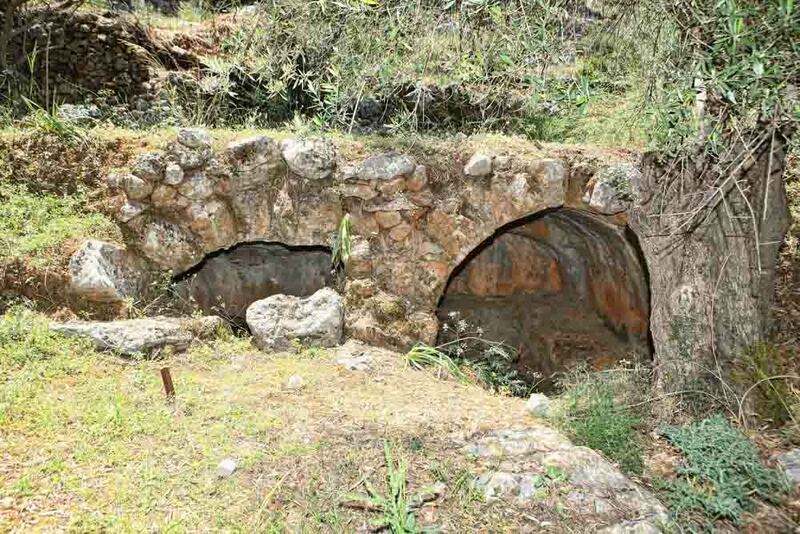 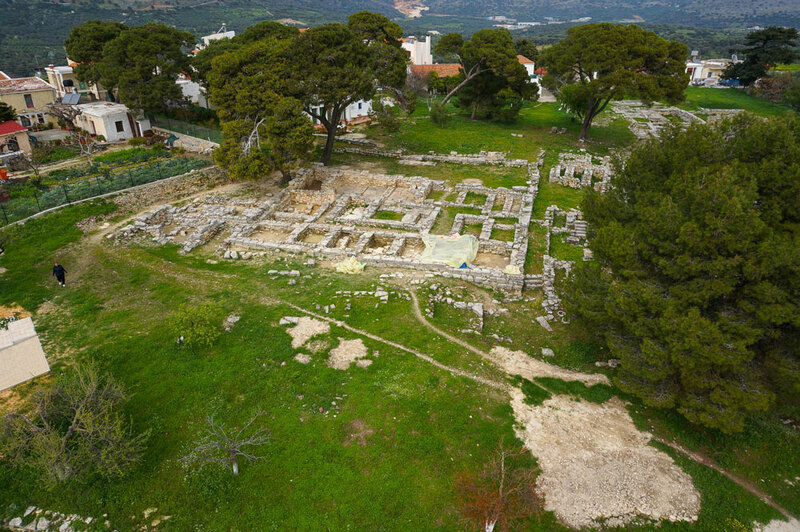 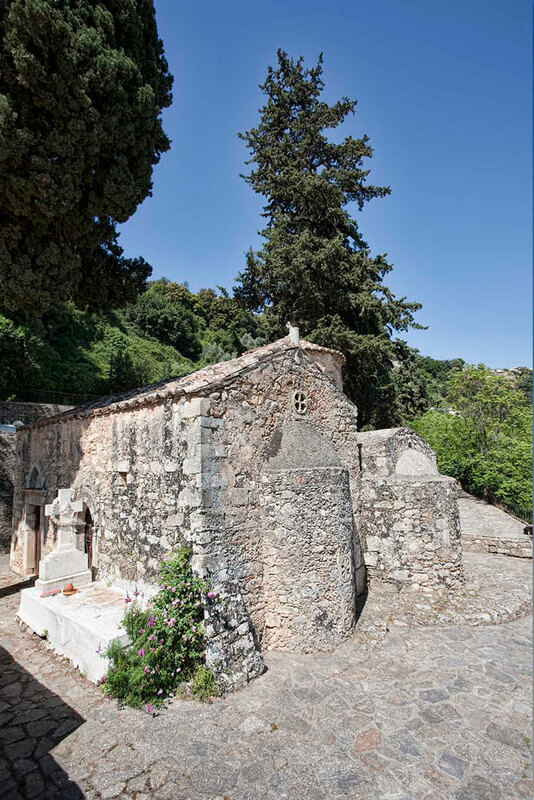 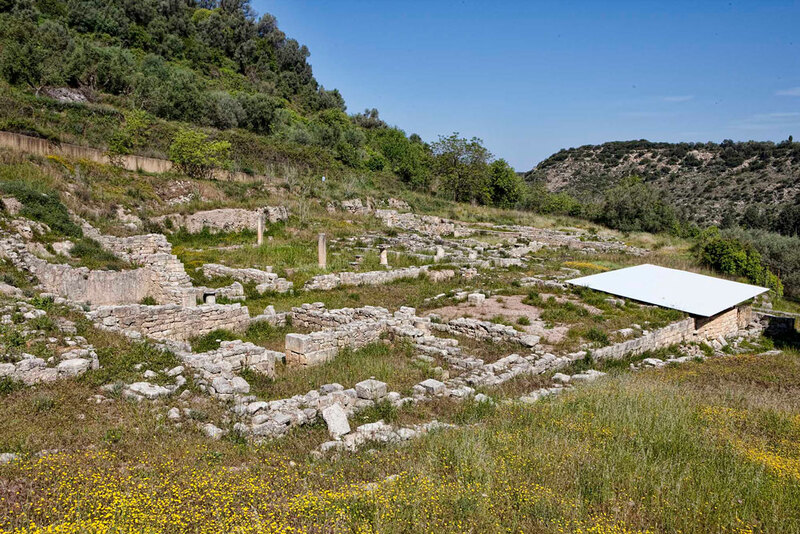 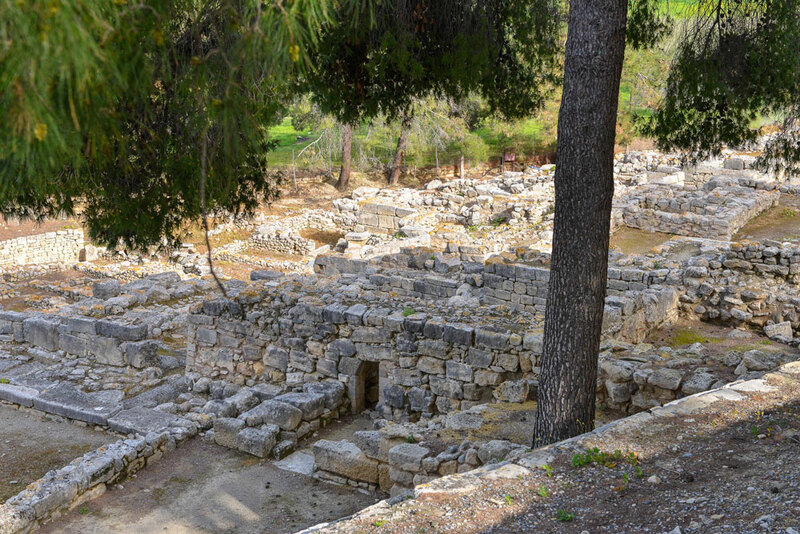 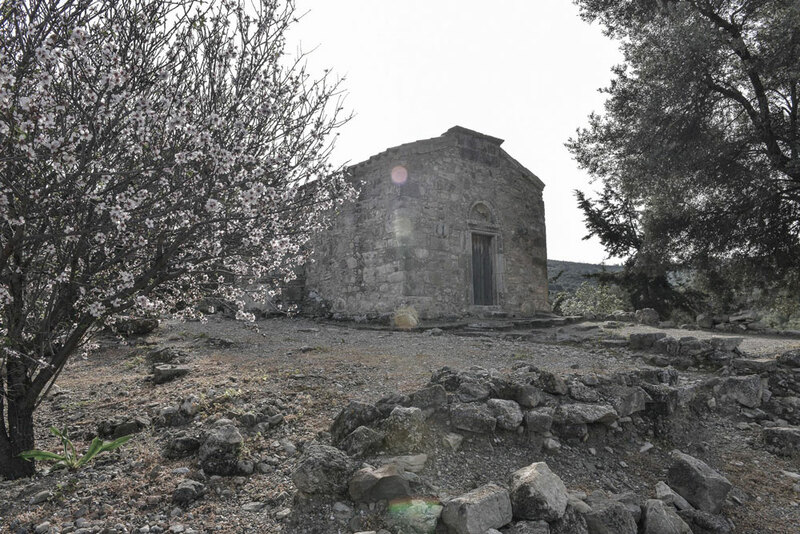 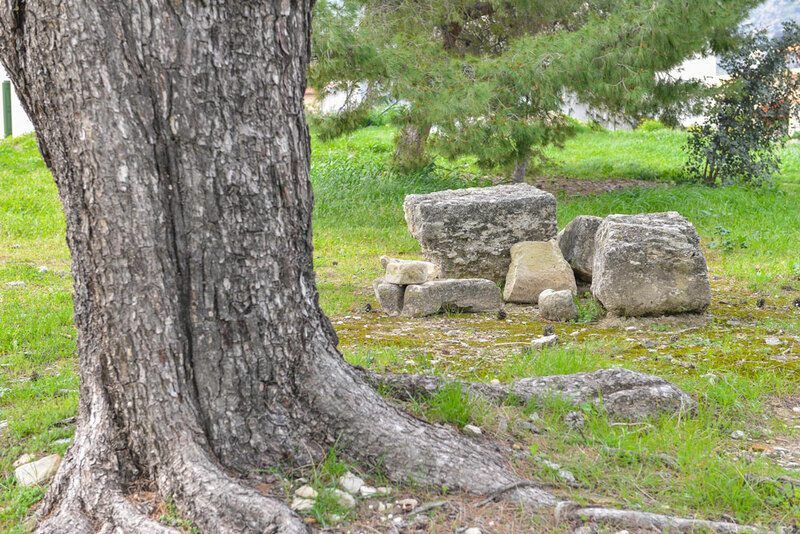 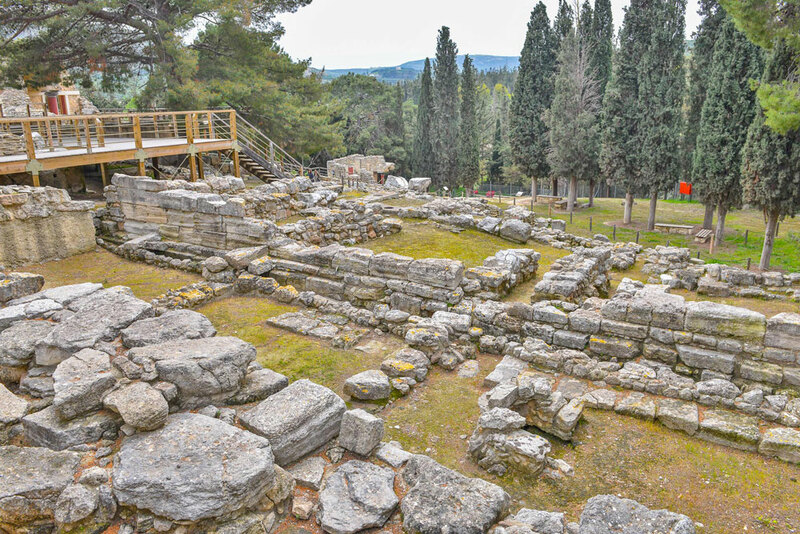 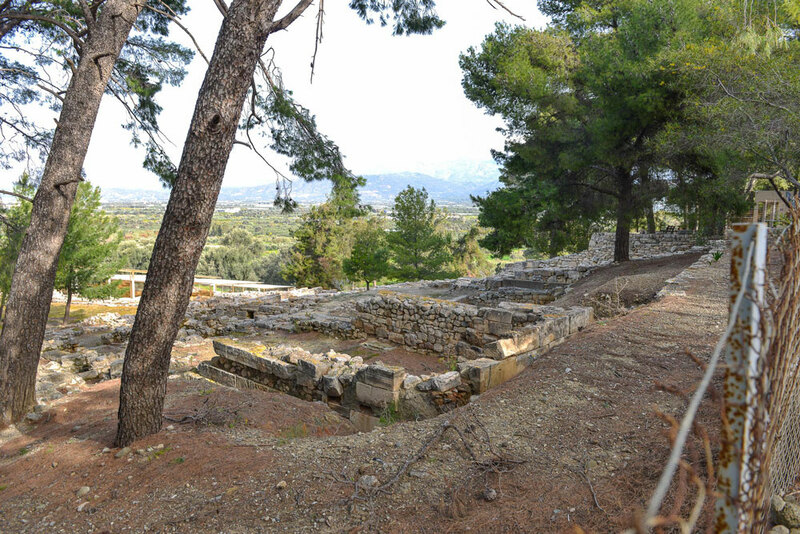 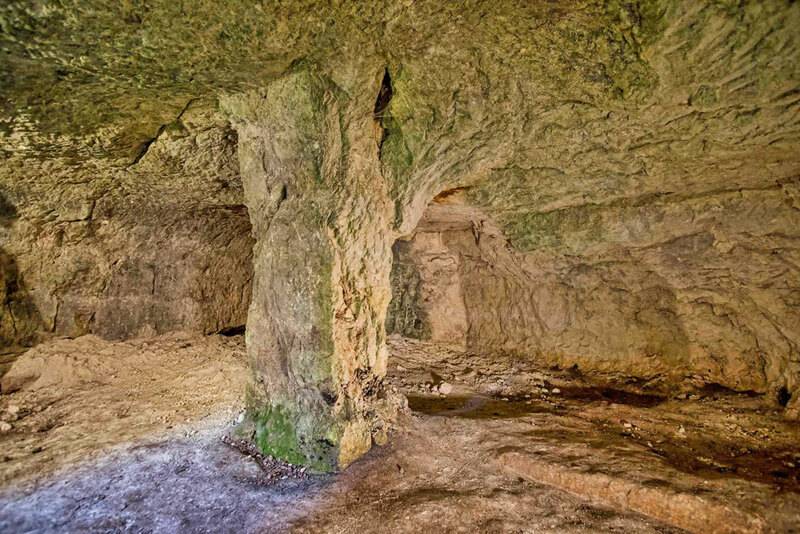 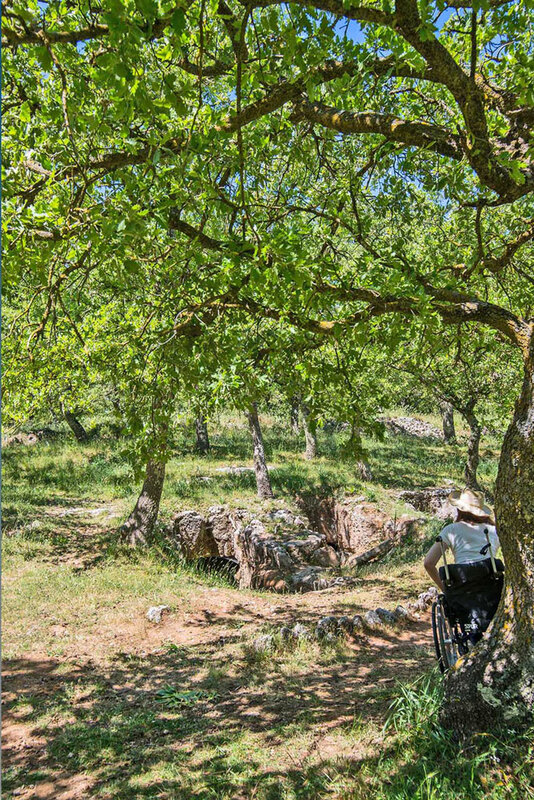 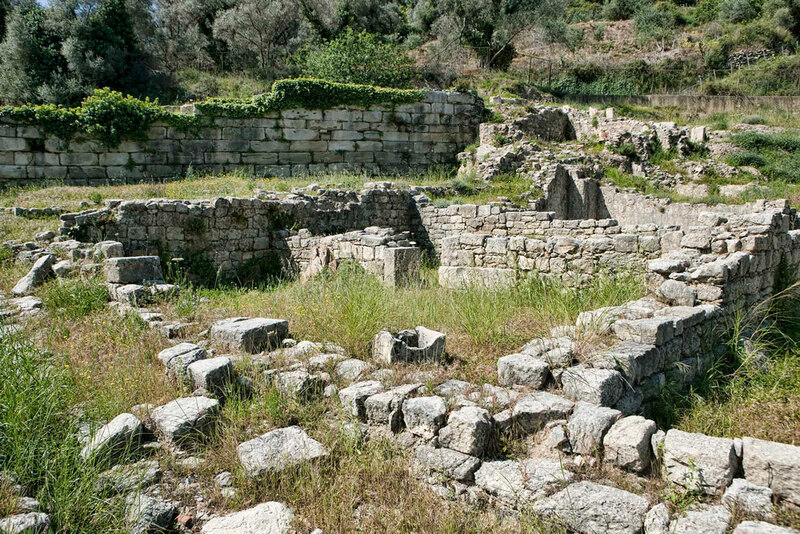 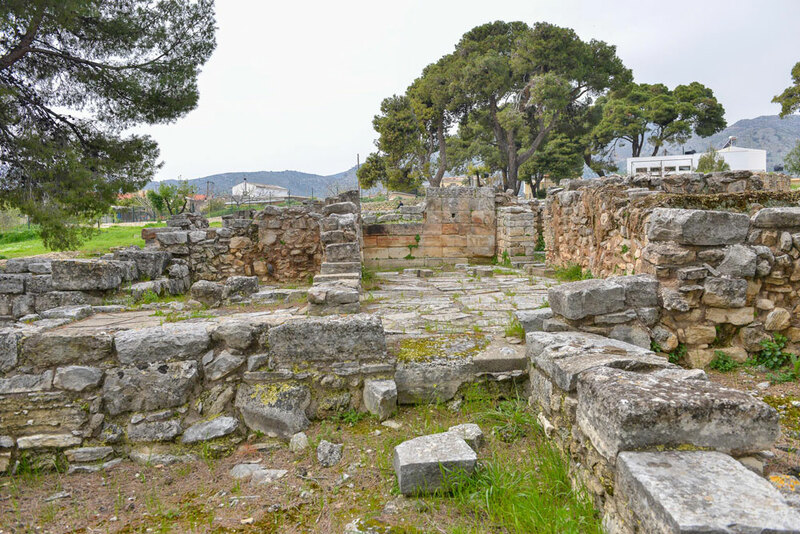 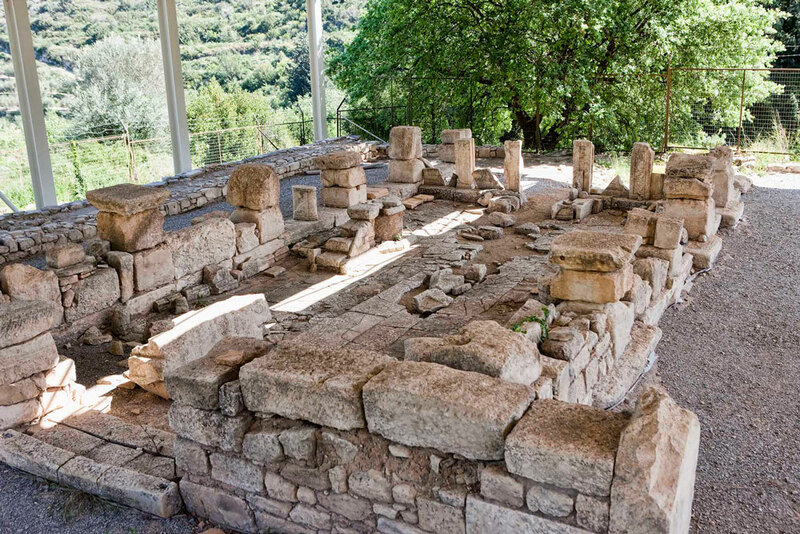 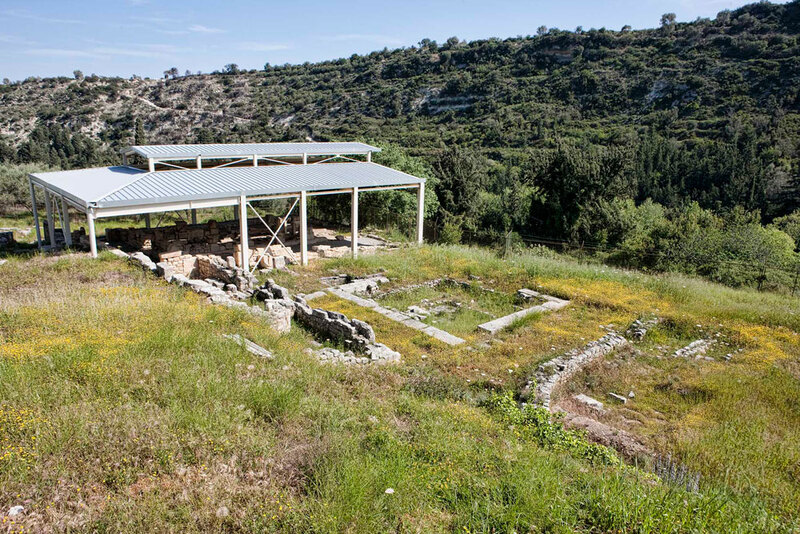 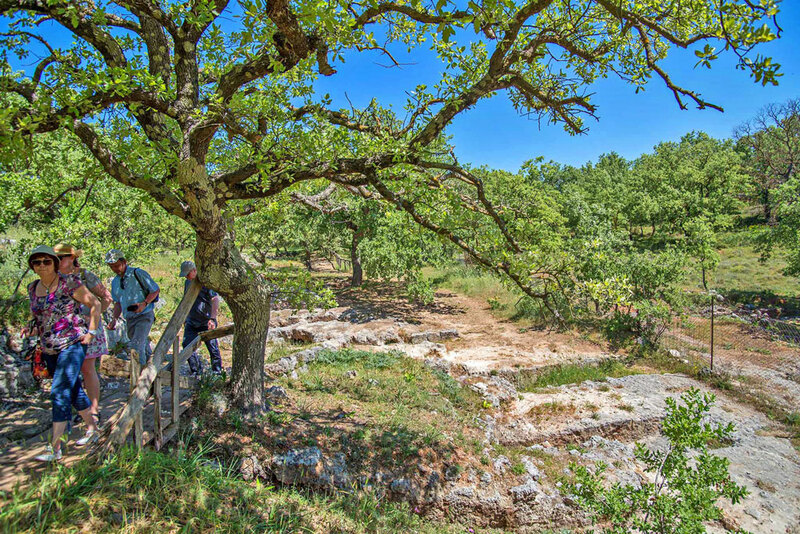 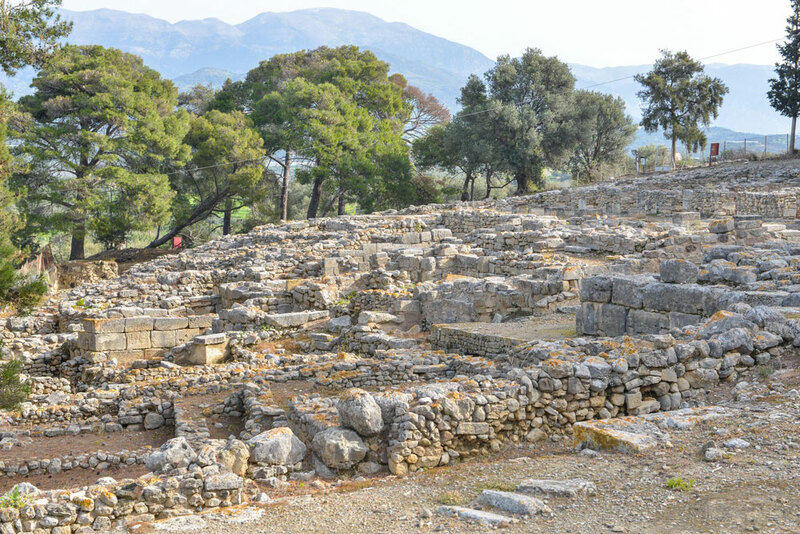 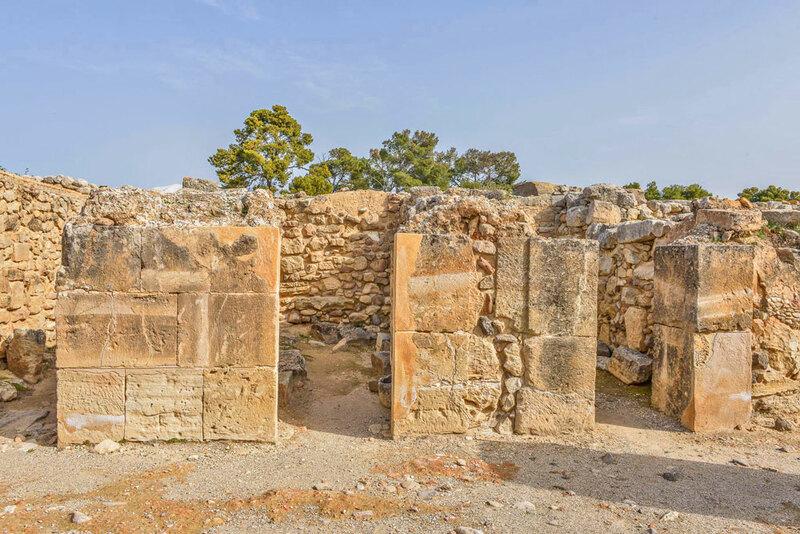 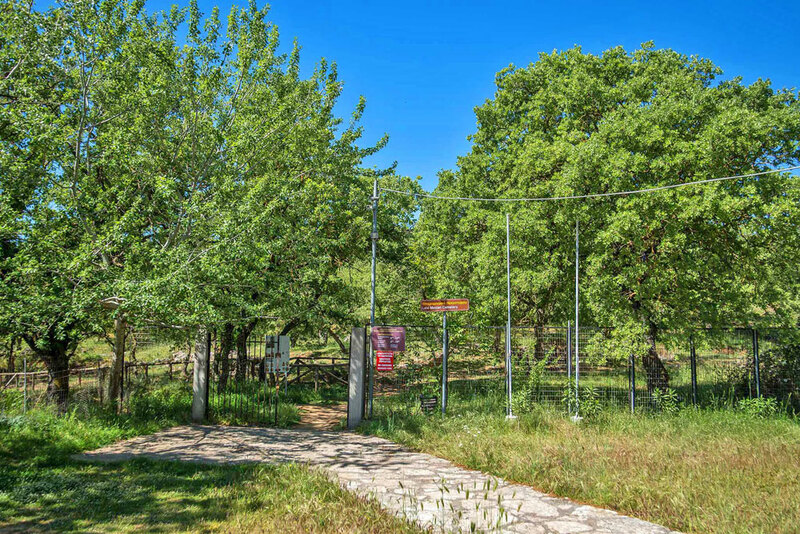 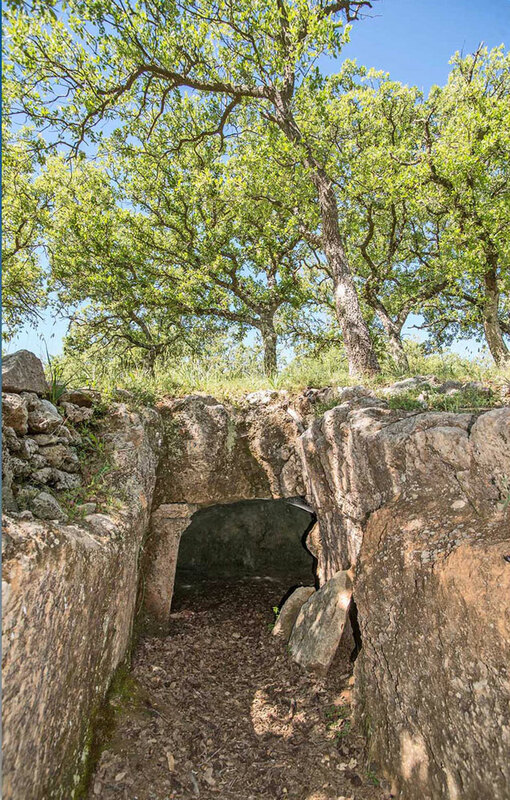 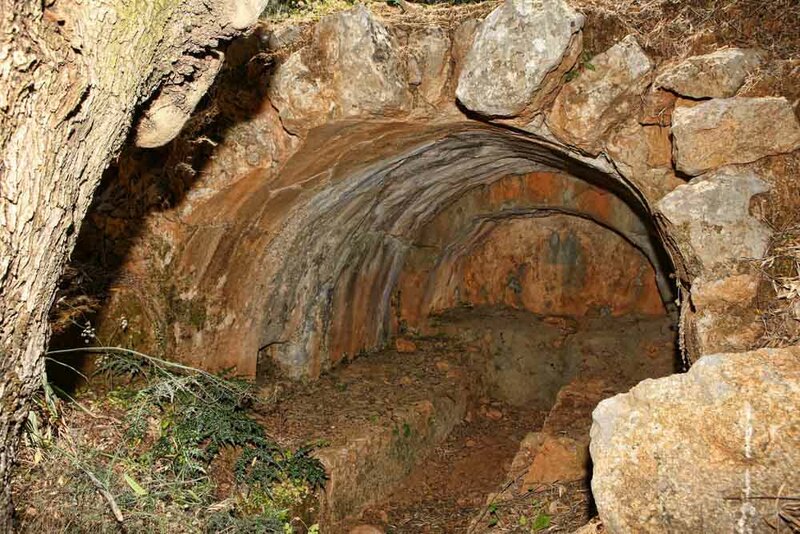 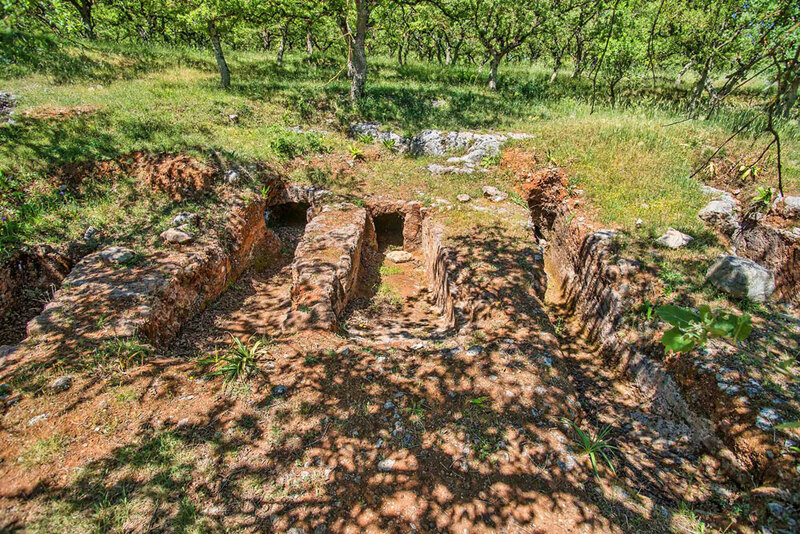 The archaeological site of Agia Triada (Holy Trinity) is located just 3km away from Phaistos and parts of the road connecting the two sited during ancient times is still visible today. 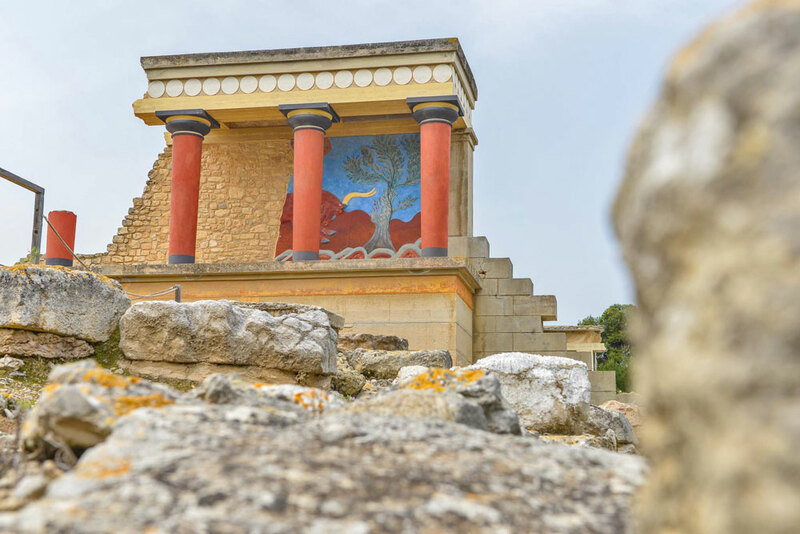 It is considered as one of the most important monuments of Minoan architecture and the small palace that was built around 1600 BC on this site was possibly the summer palace of the king Phaistos. 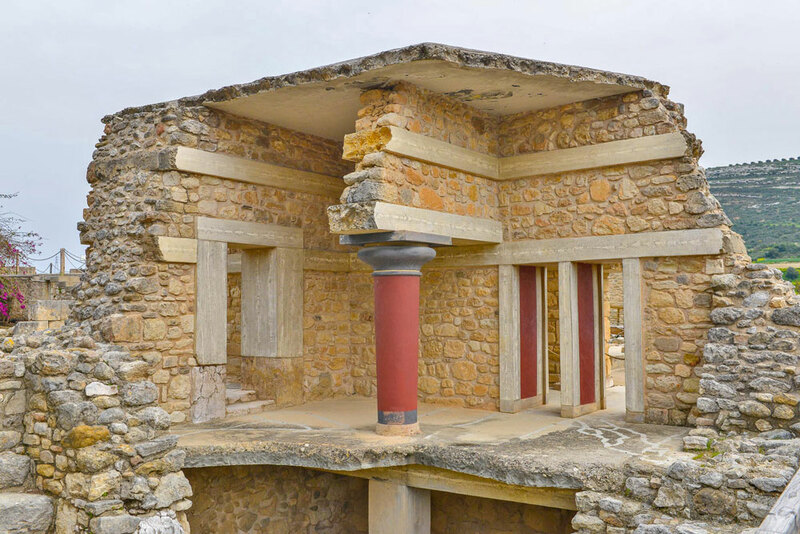 Although not as large as the Knossos and Phaistos palaces, the building follow the same Minoan standards of elegance and utility. 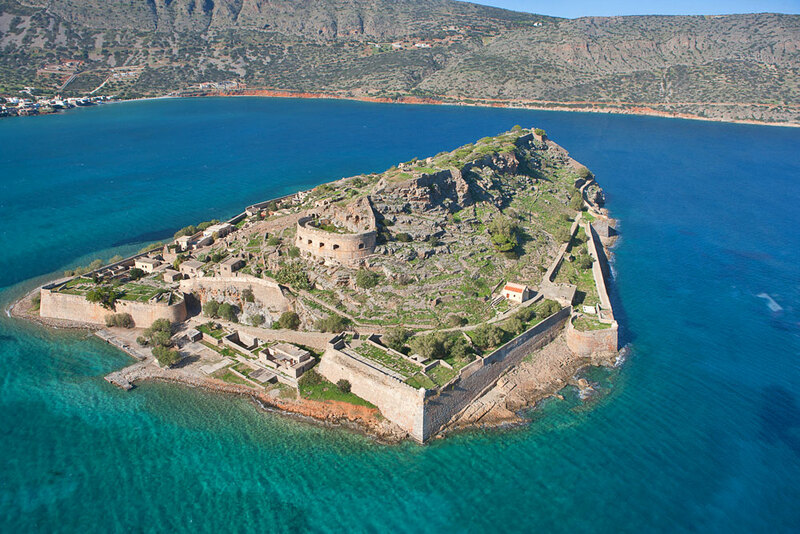 Aptera is located outside Chania, in the Souda bay. 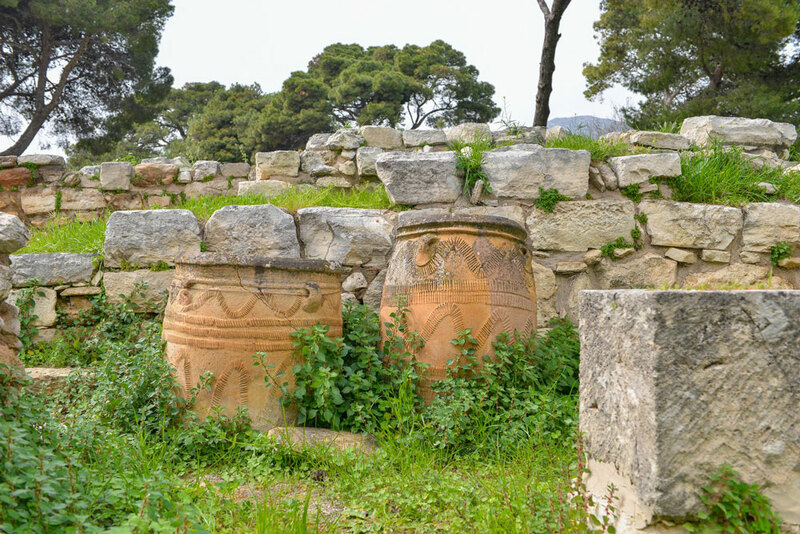 The name means “without wings” and myth has it that the Sirens and Muses once competed to see who is better in playing music. 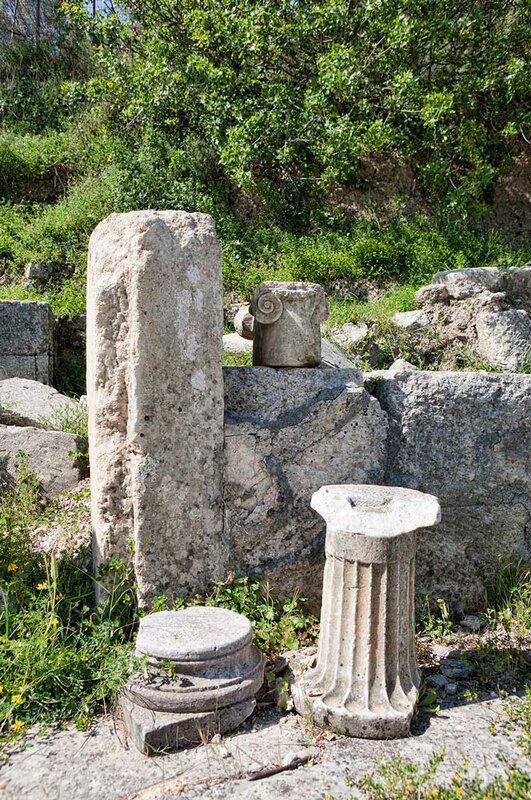 The Muses won and the embarrassed Sirens cut off their wings and turned white, before diving into the sea. 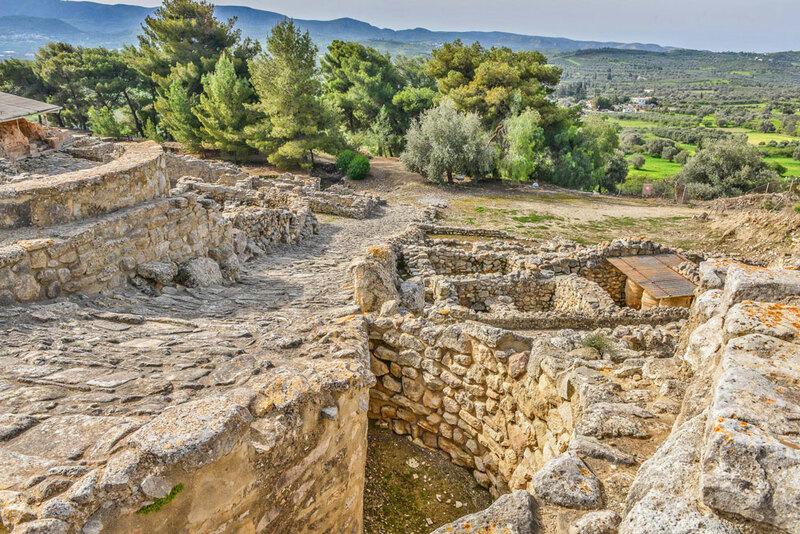 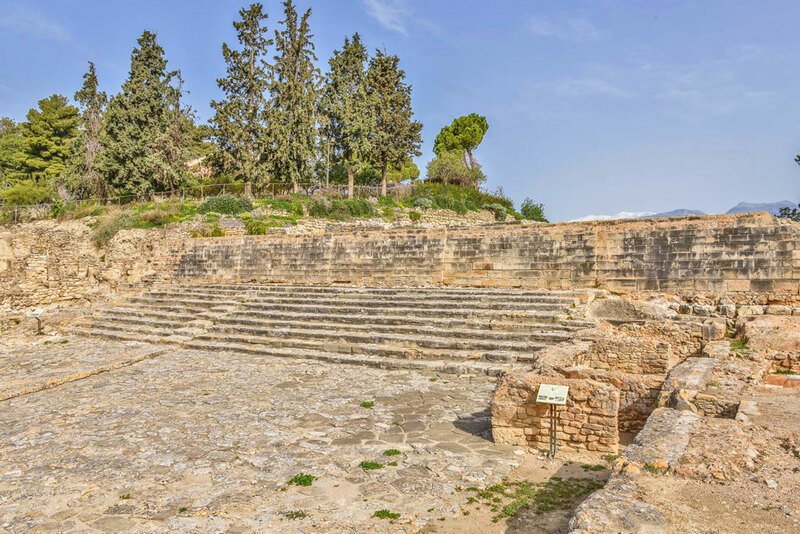 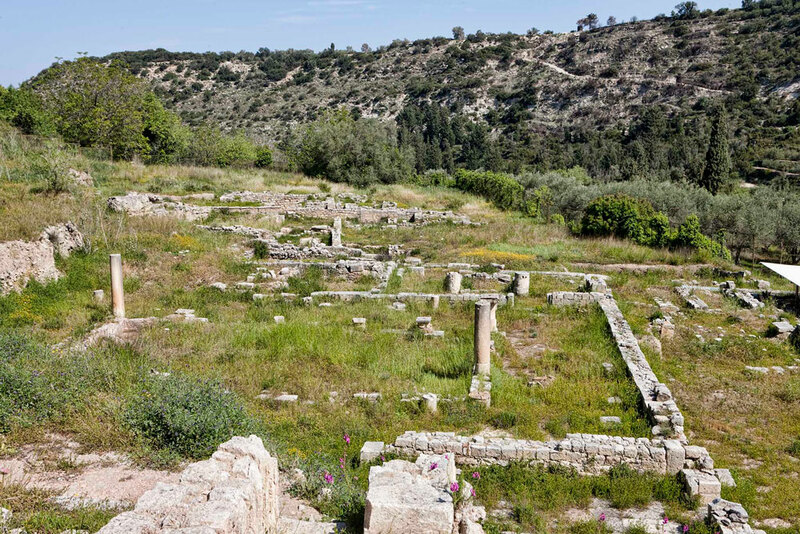 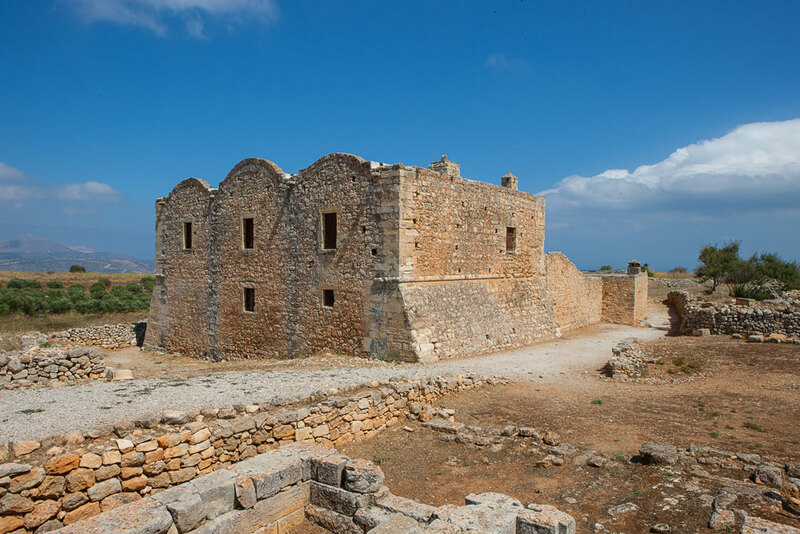 Histrorically, Aptera was one of the most important city-states of Crete for many centuries. 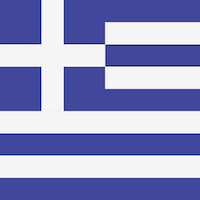 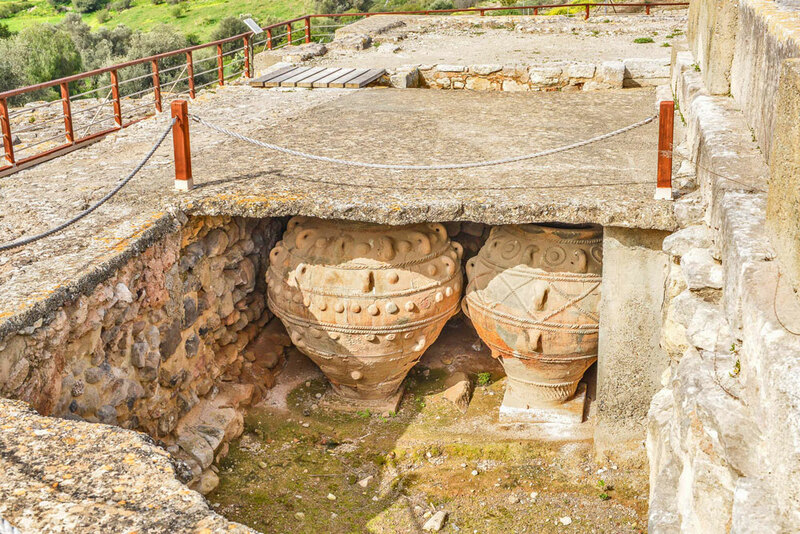 It was possibly founded during Geometric Age, reached its zenith during the early Hellenistic Age and continued to be inhabited up to the Arabic occupation of Crete. 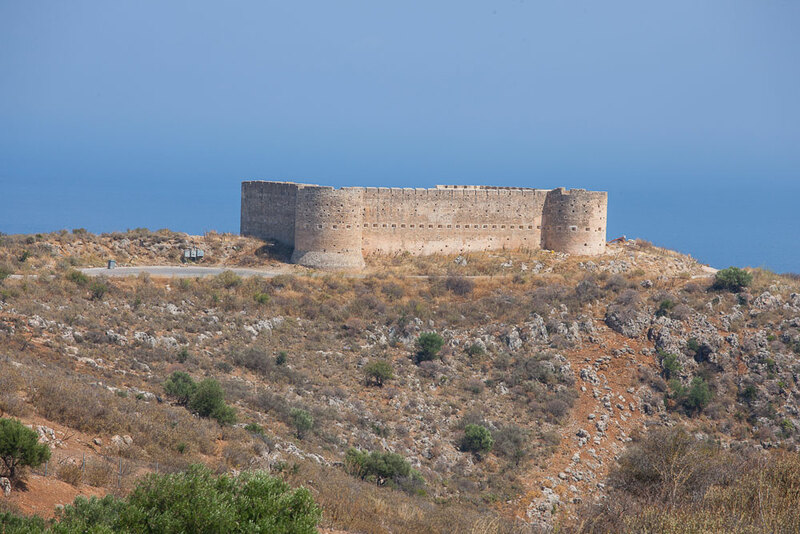 Among the attractions is part of the city’s fortification that extend for 4km, a small ancient temple, the domed Roman water tanks and two fortresses of the great historic importance from the Ottoman era. 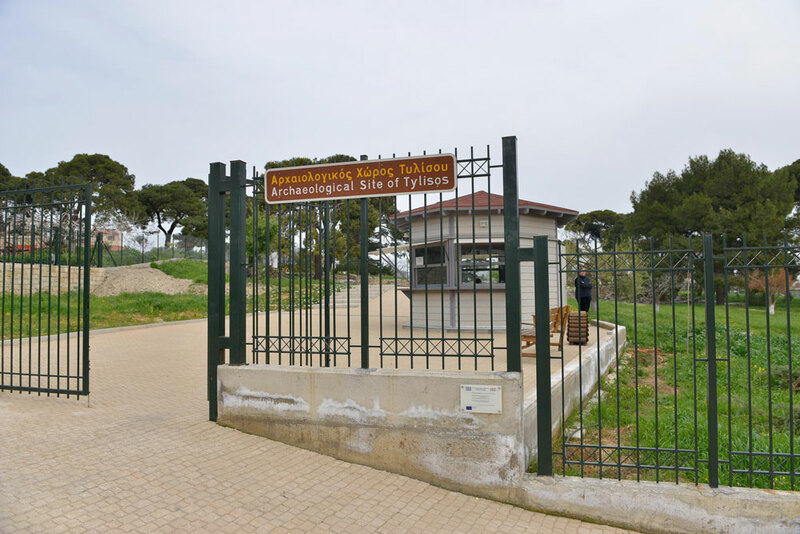 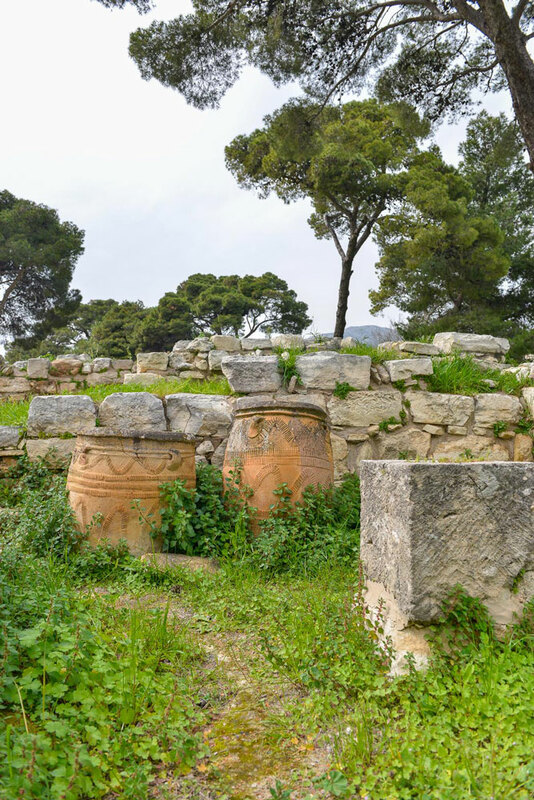 Ancient Tylisos is situated 16km west from Heraklion and it was built on a strategic location for the Minoans, on the road from Knossos to the western Minoan centers. 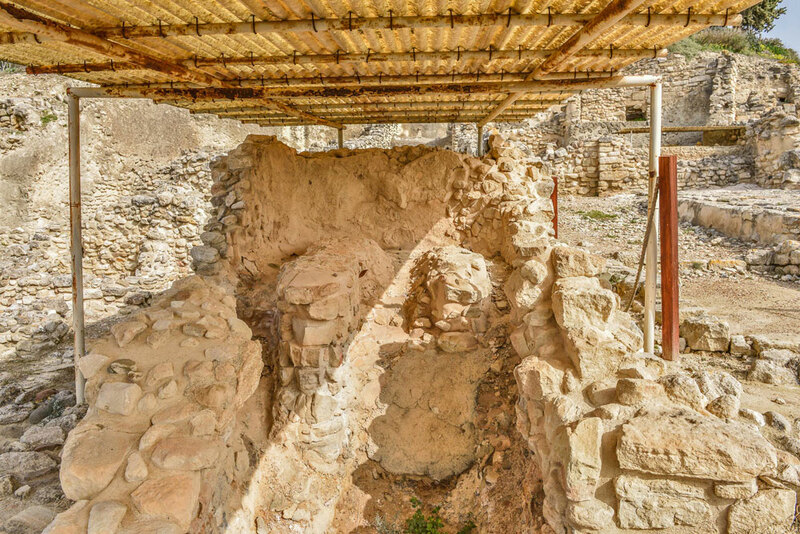 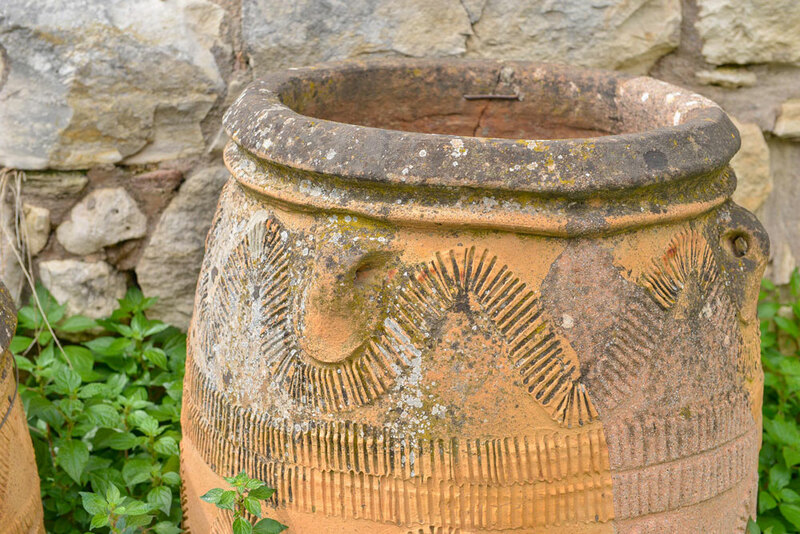 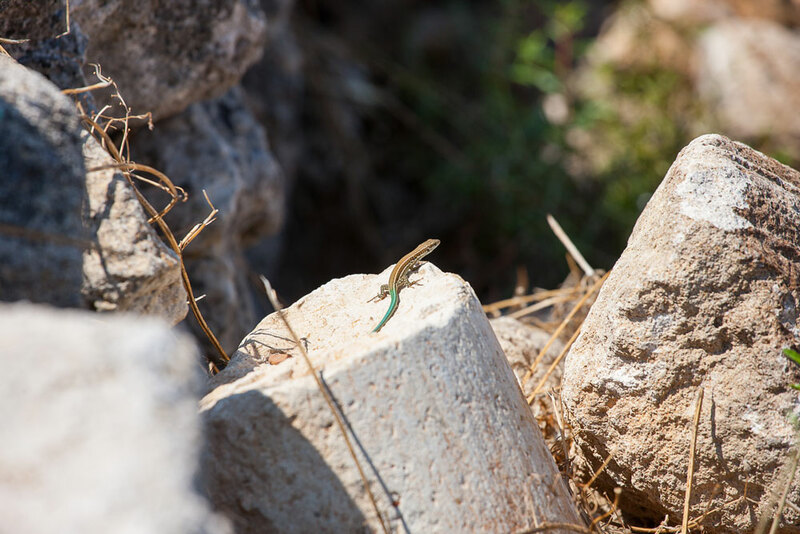 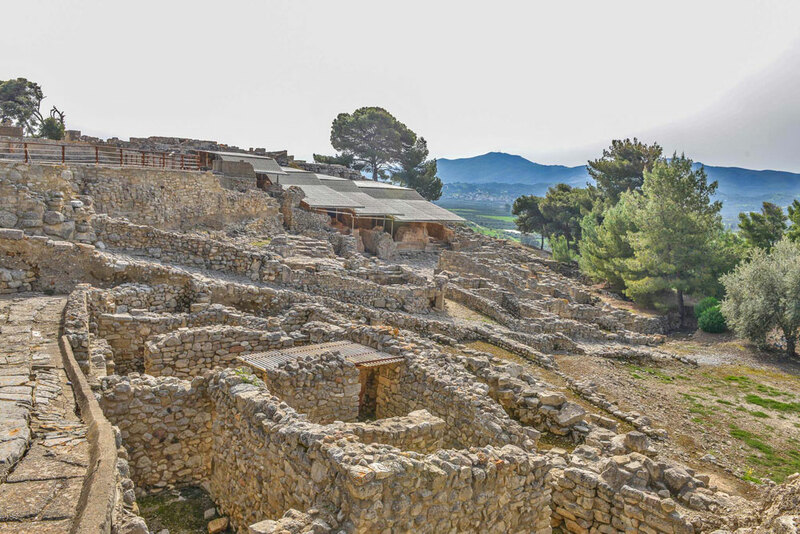 The site demonstrates some of the most impressive Minoan architecture and the archeological findings suggest that it used to be an important coppersmith centre during the Minoan times. 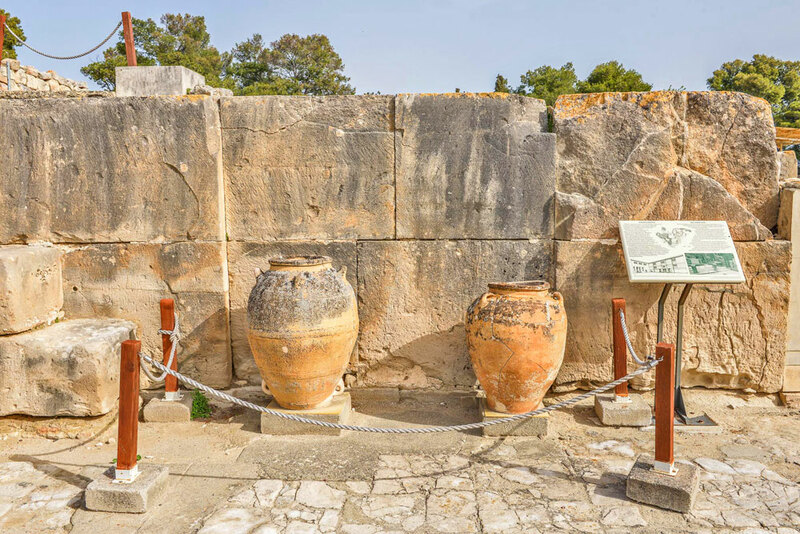 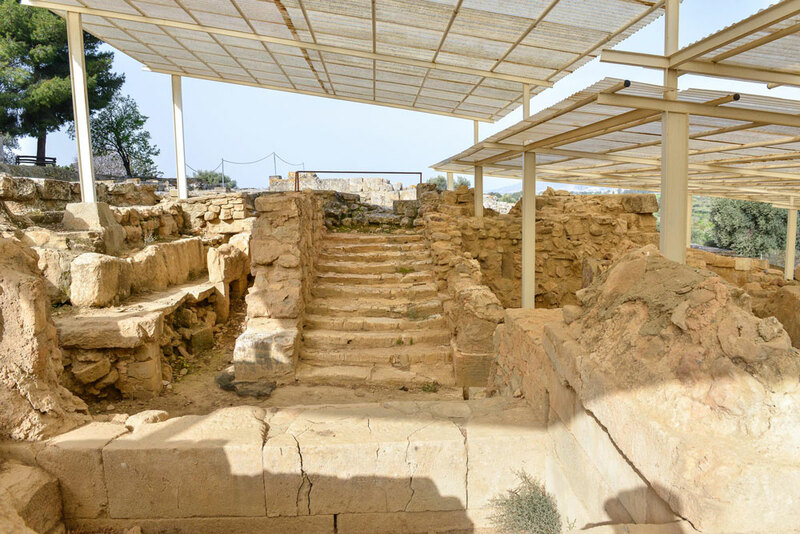 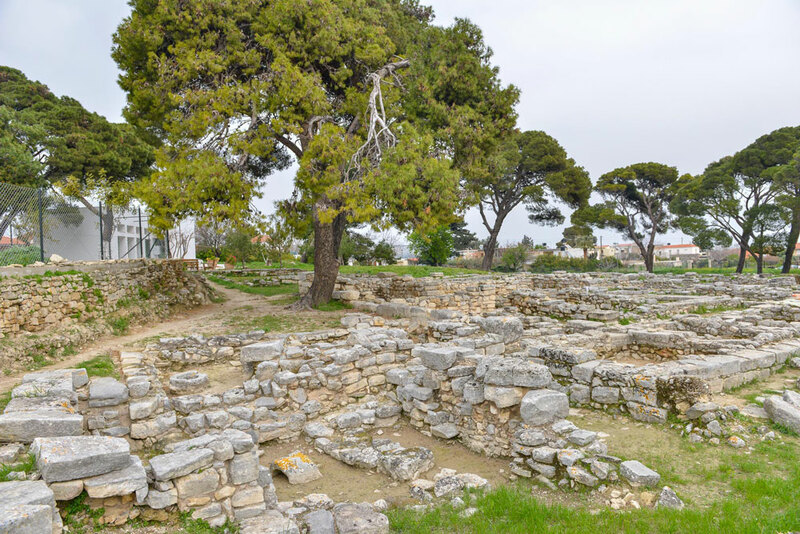 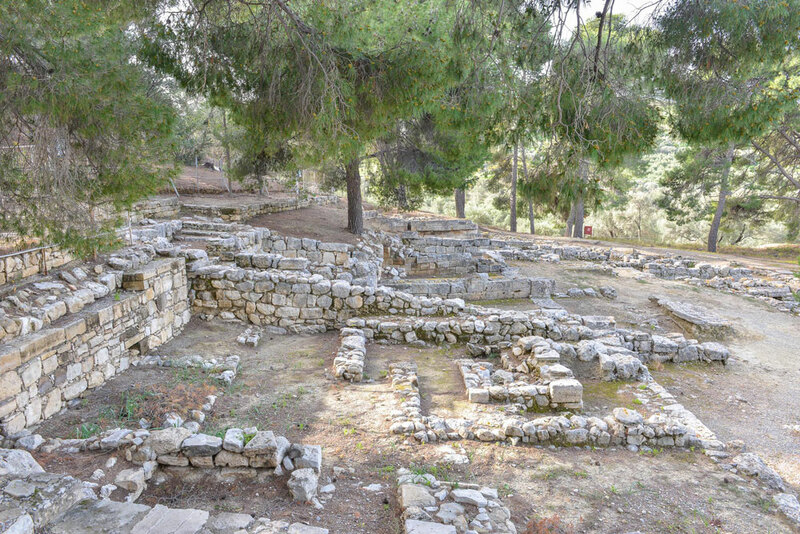 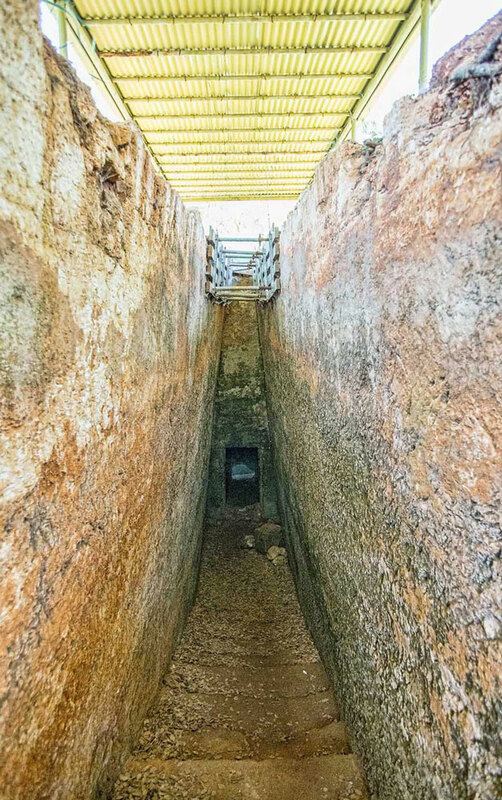 The importance of the site for the Minoans is underlined by the inscriptions in Linear A, a language associated with the palace, on various tablets and ceramics that were found on this site during excavations.